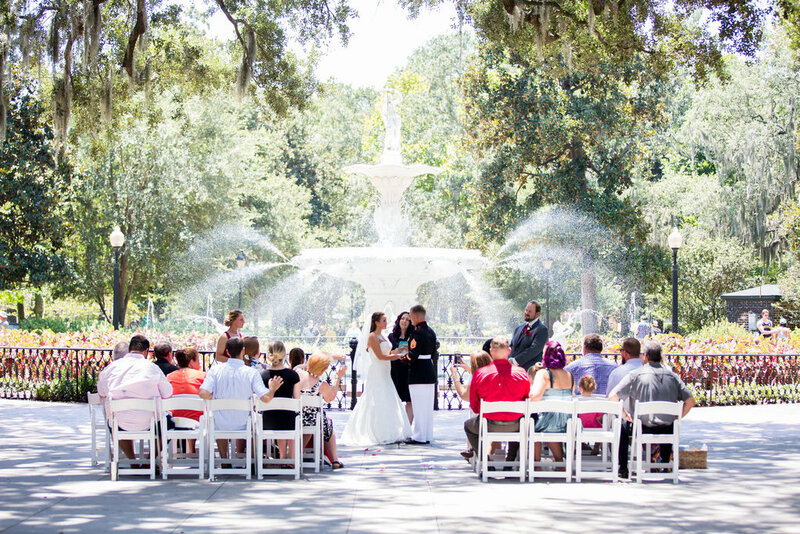 Forsyth Park is the most popular place to be married in Savannah, GA! 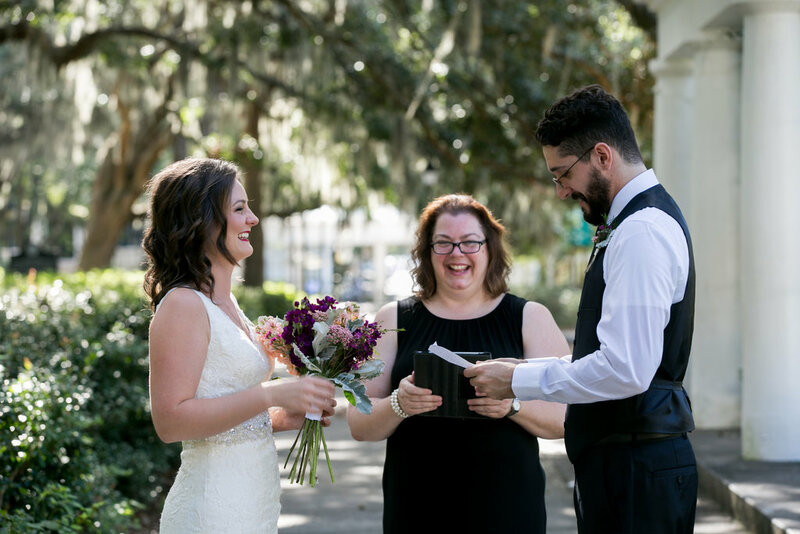 We married 73 couples there in 2017, to be exact. 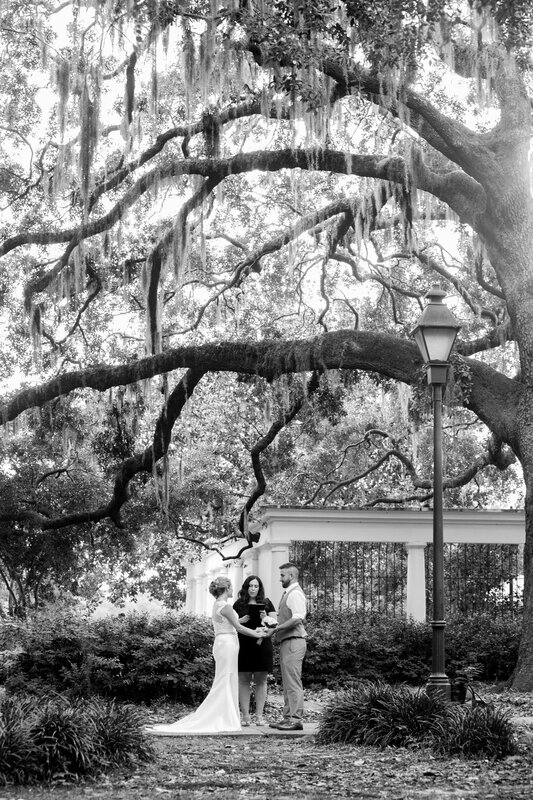 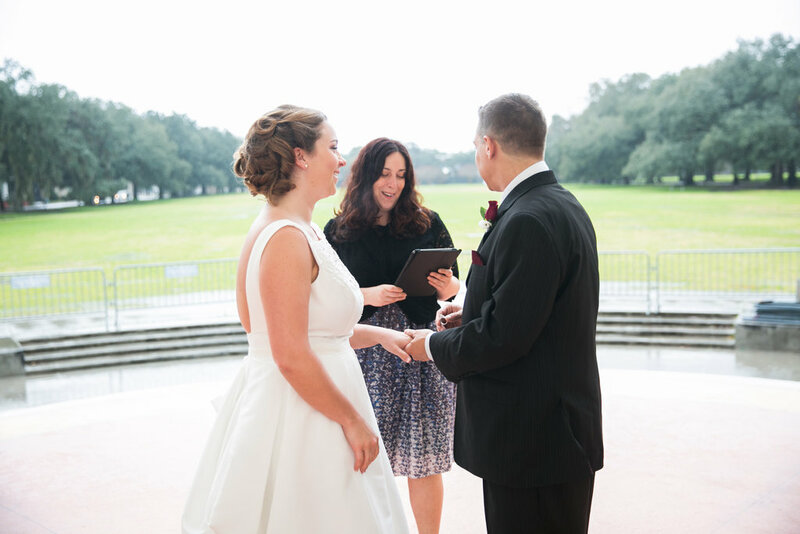 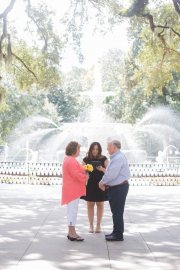 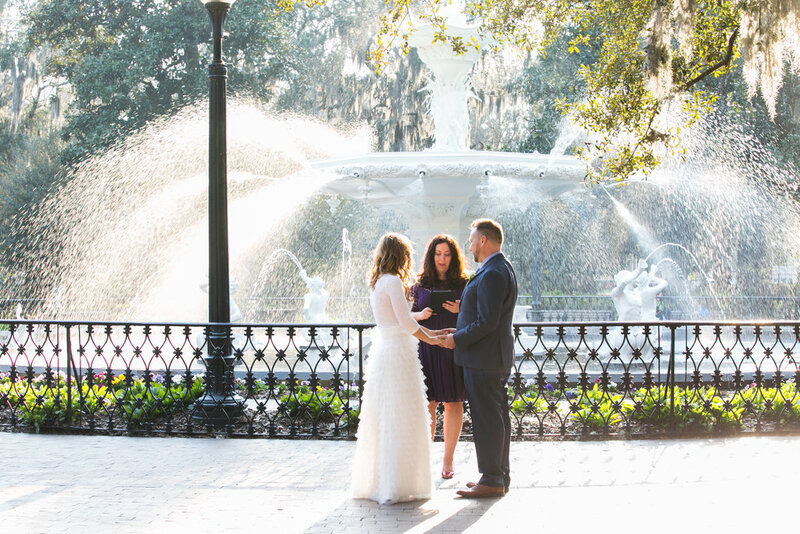 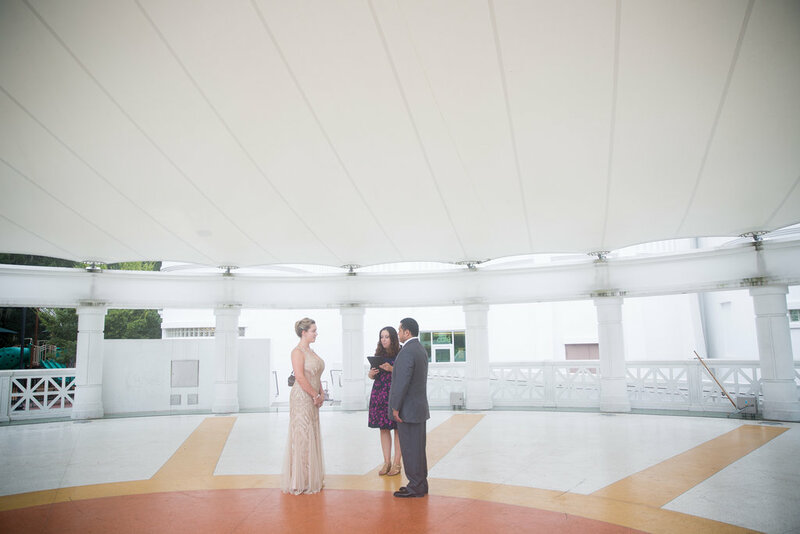 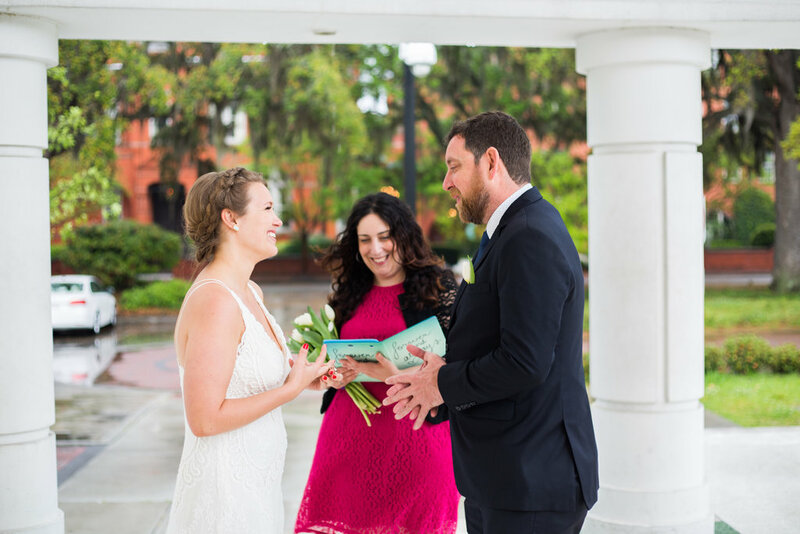 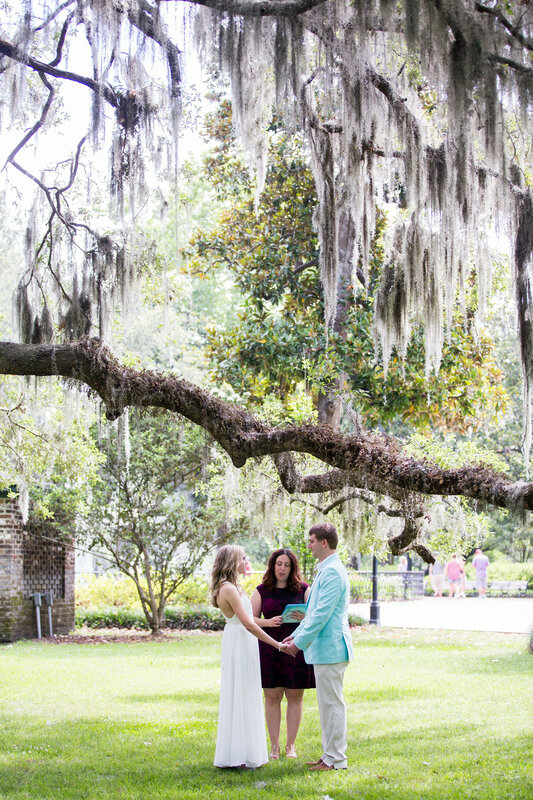 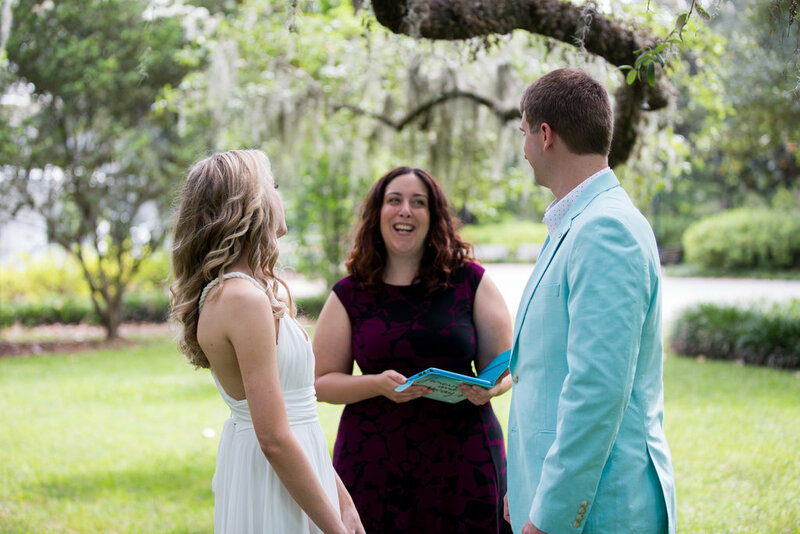 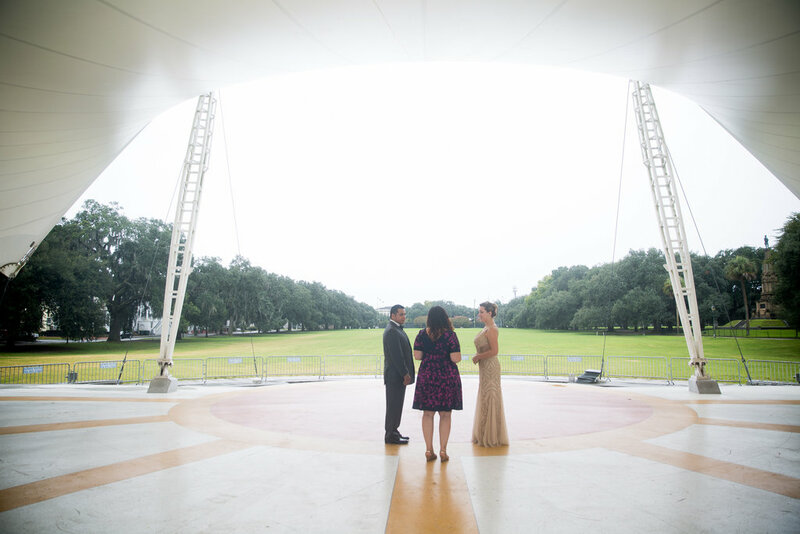 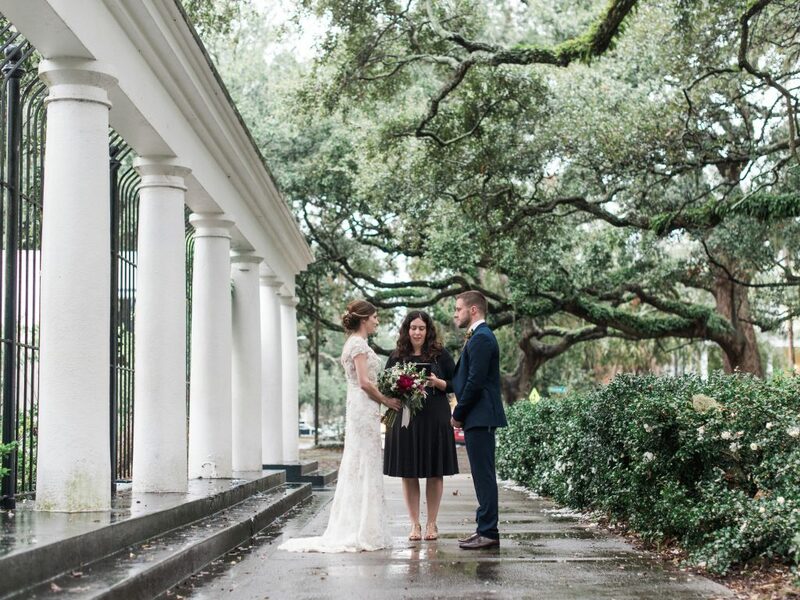 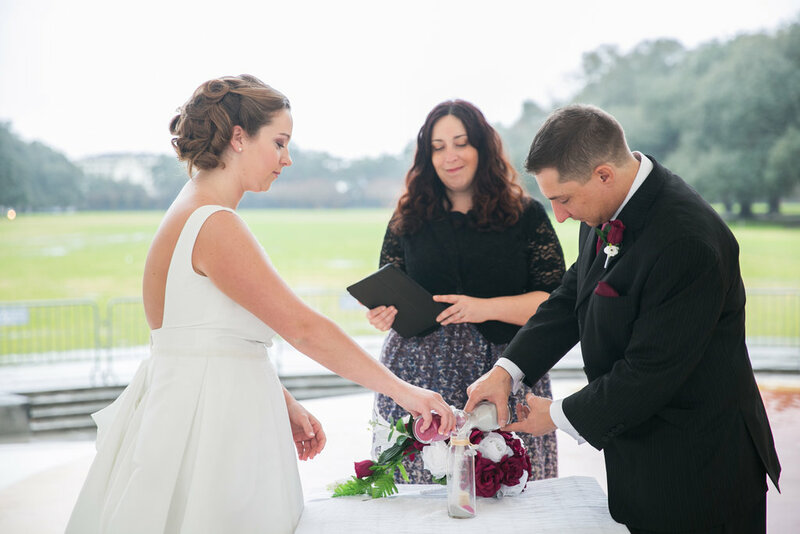 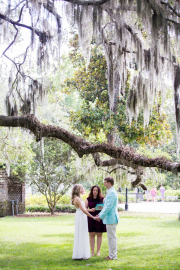 There are pros and cons to choosing Forsyth Park as your wedding location. 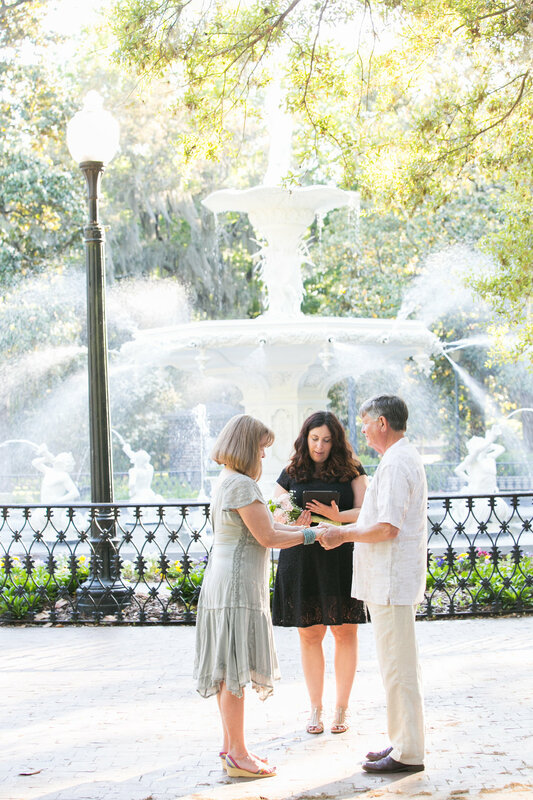 Pros: Beautiful fountain (of course!) and lots of other spots to be photographed at within the park under Spanish moss, and in front of flowers, if they are blooming in the early Spring. 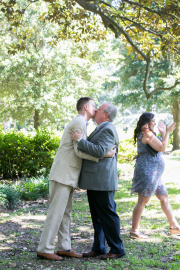 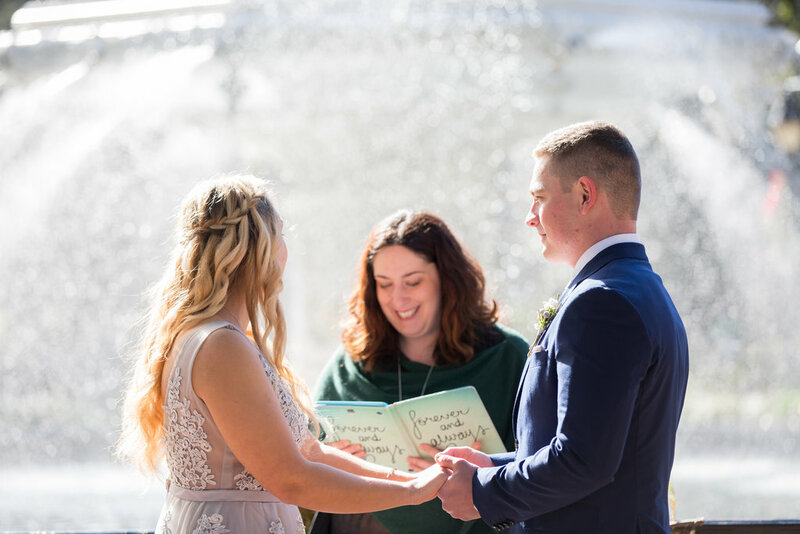 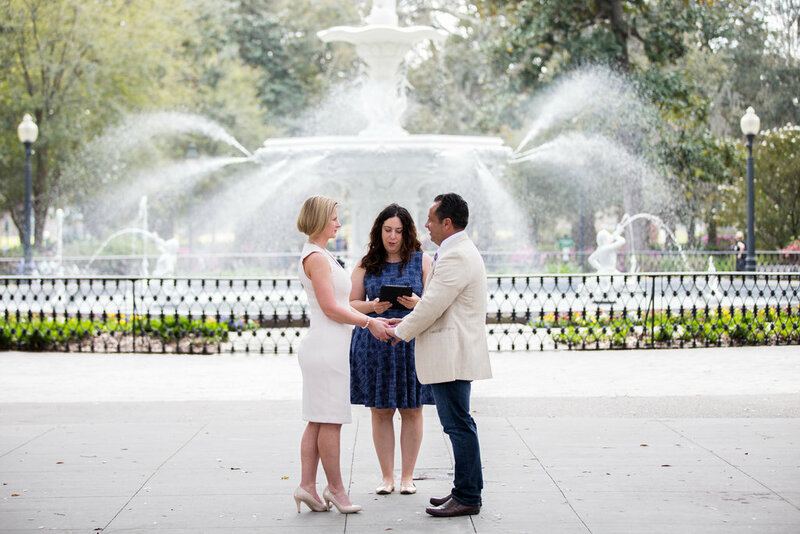 If you get married in front of the fountain, the applause when you kiss from admiring visitors can feel amazing! 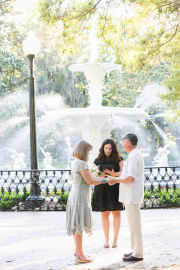 If you do not like the openness of the fountain for your ceremony, there are lots of other private spaces in the park. 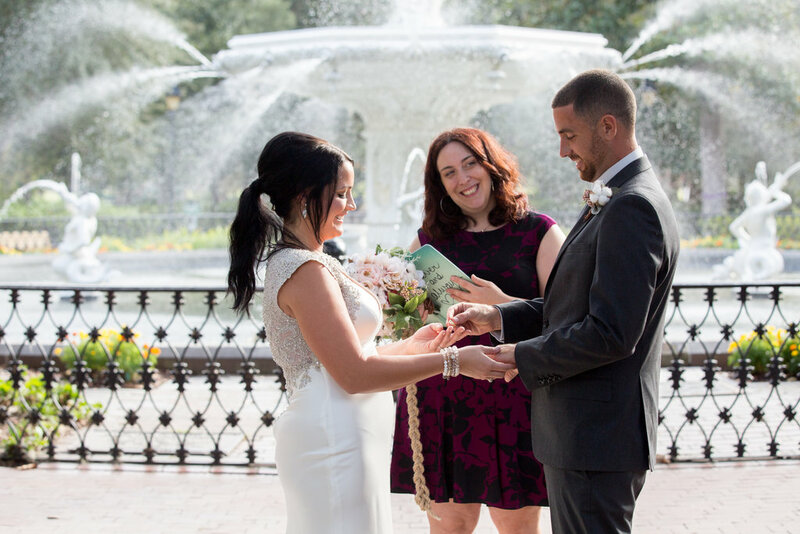 Cons: If you are eloping, it is almost impossible to be married in front of the fountain on Saturdays or super busy tourist days, Even if it seems uncrowded, tourists and other park visitors may appear and get very close to your wedding. 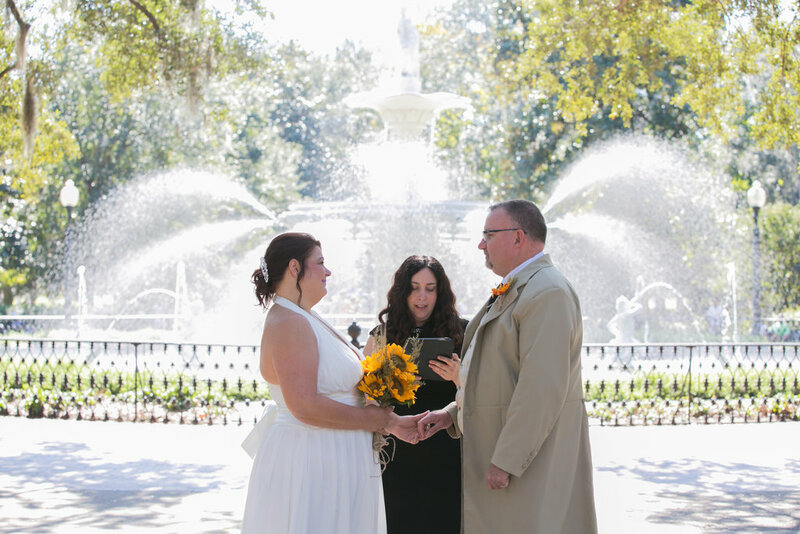 Lighting can be harsh against the white fountain midday. 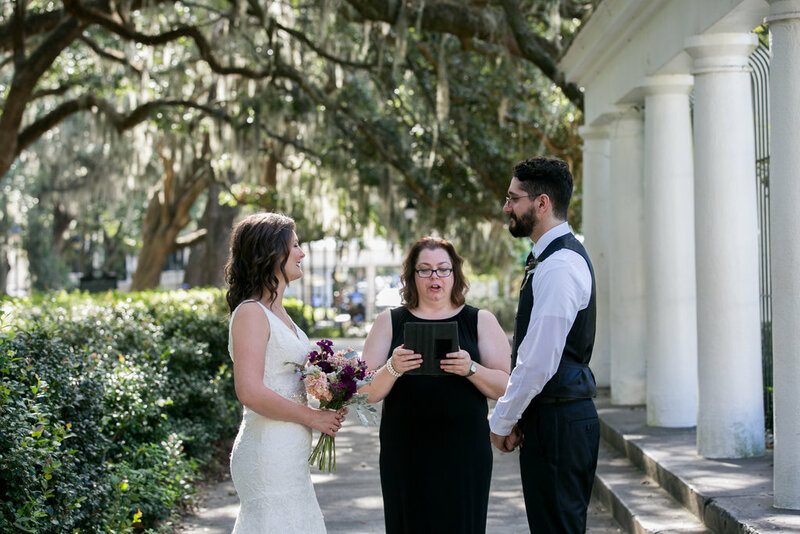 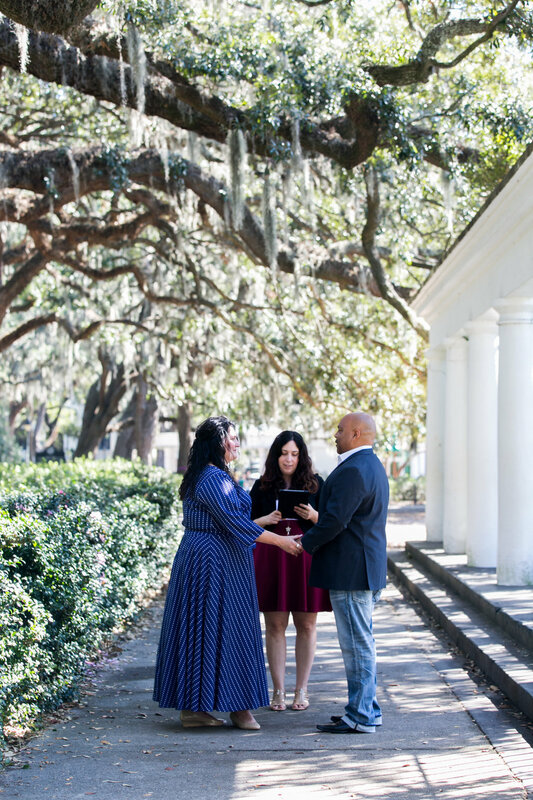 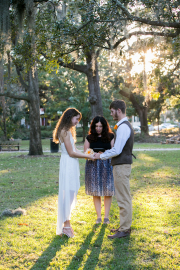 If you are planning on having more than 15 guests, or use chairs or other structures, the City of Savannah requires a permit to use it for your wedding ceremony. 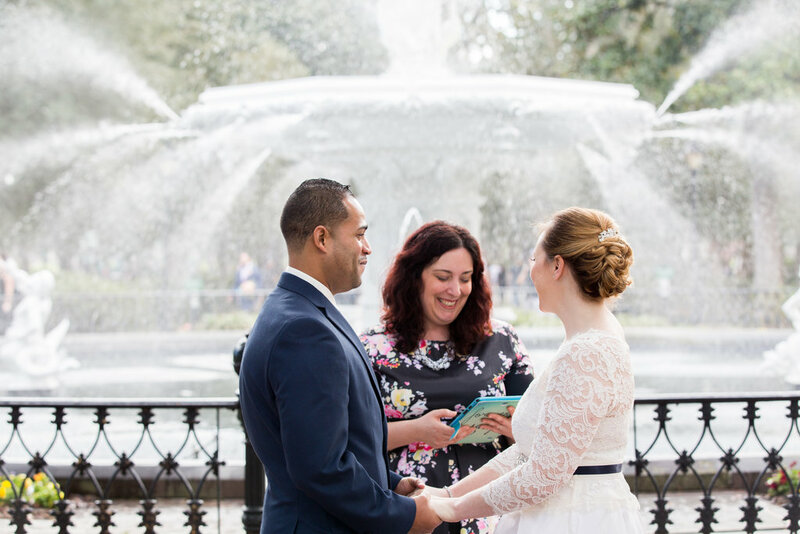 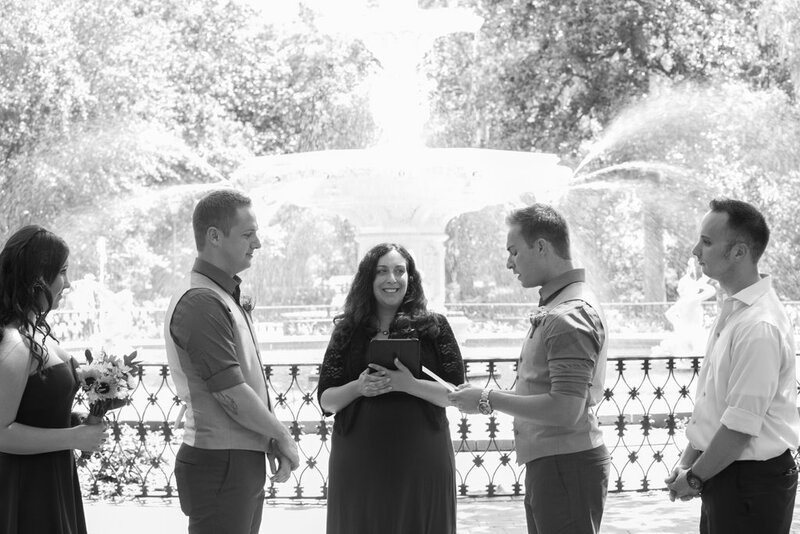 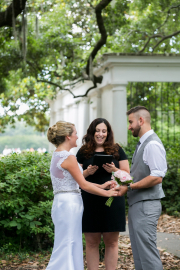 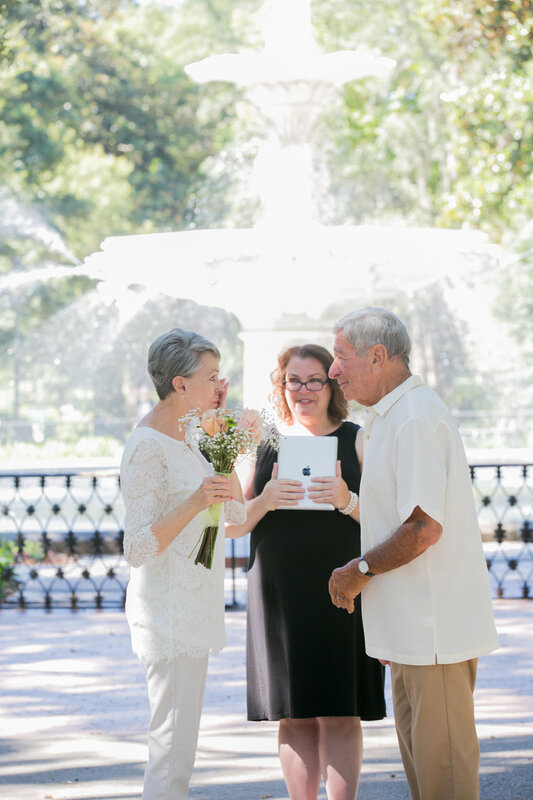 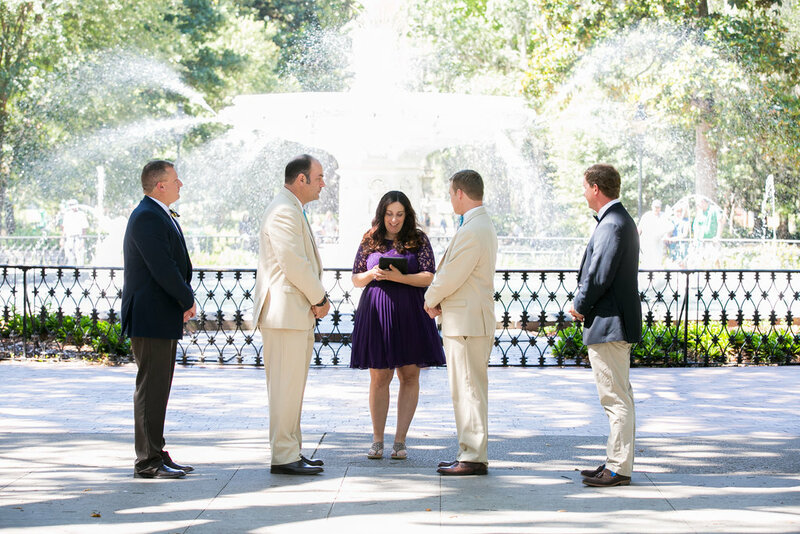 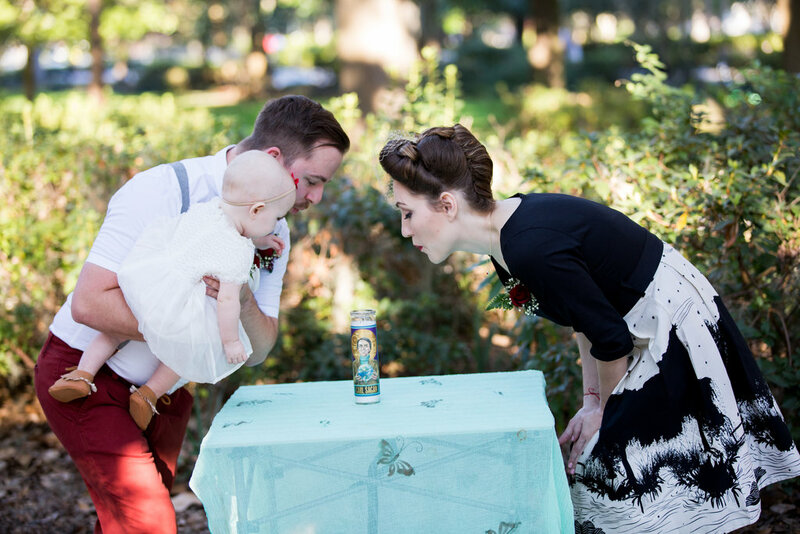 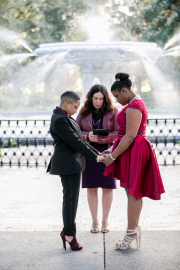 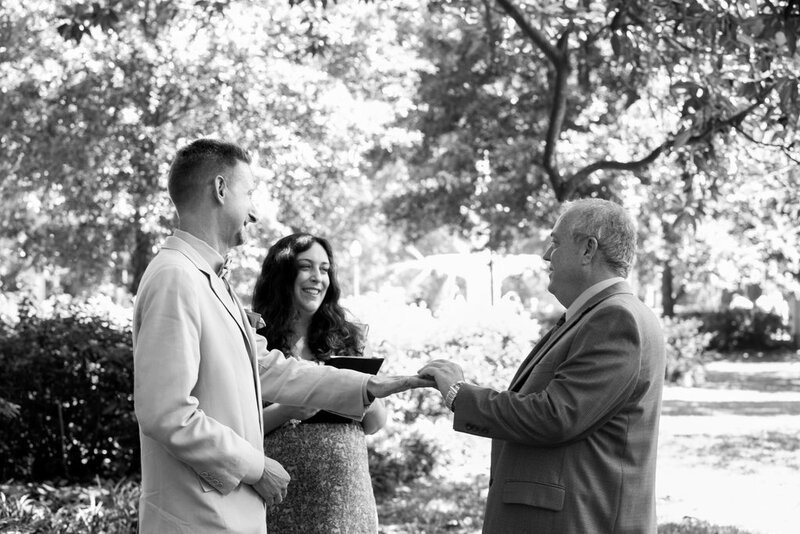 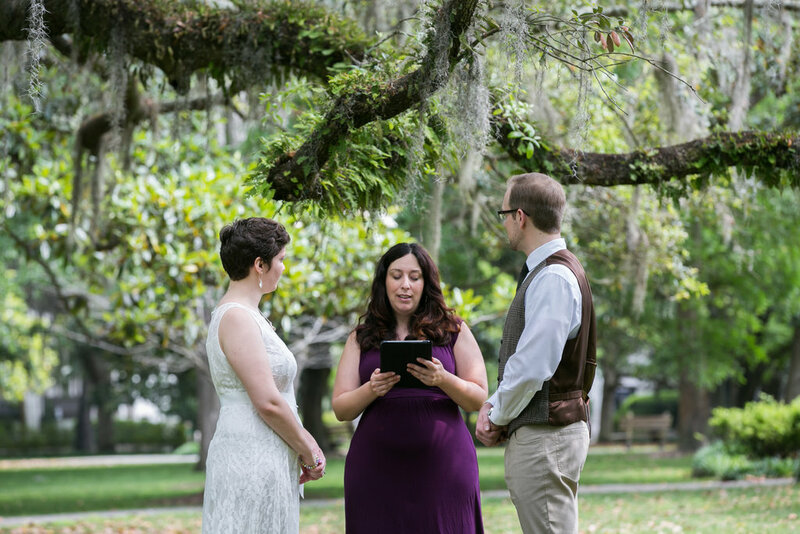 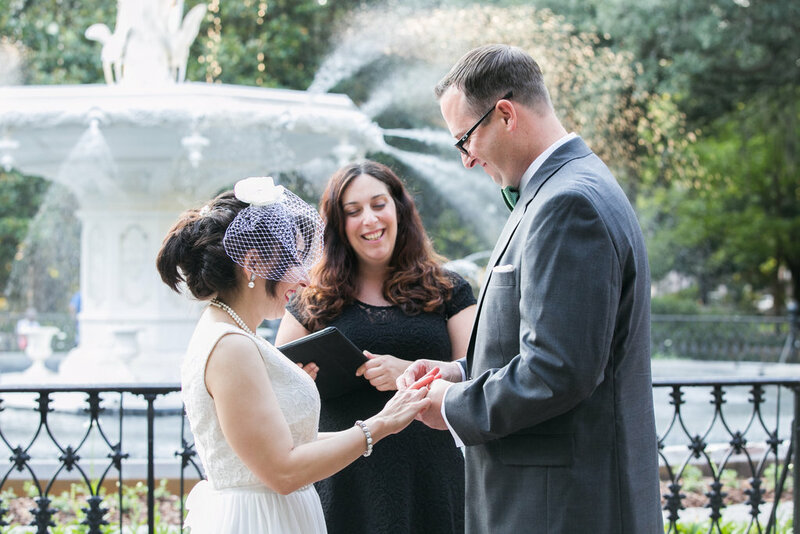 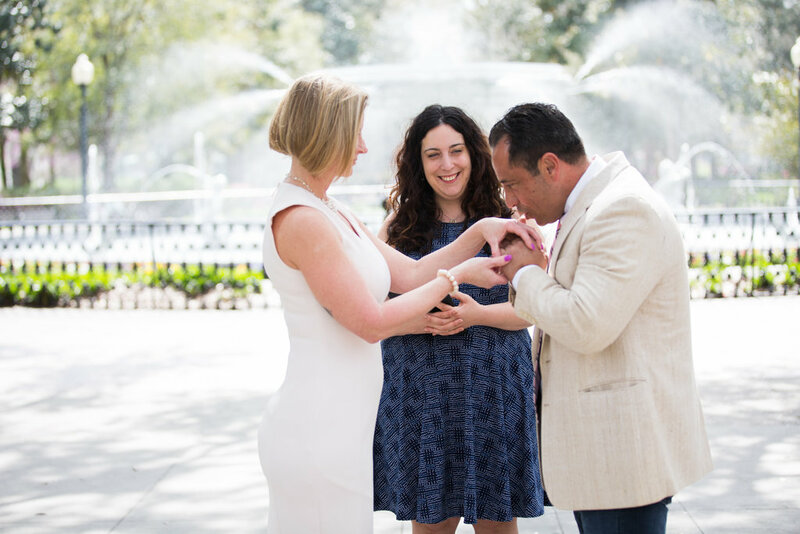 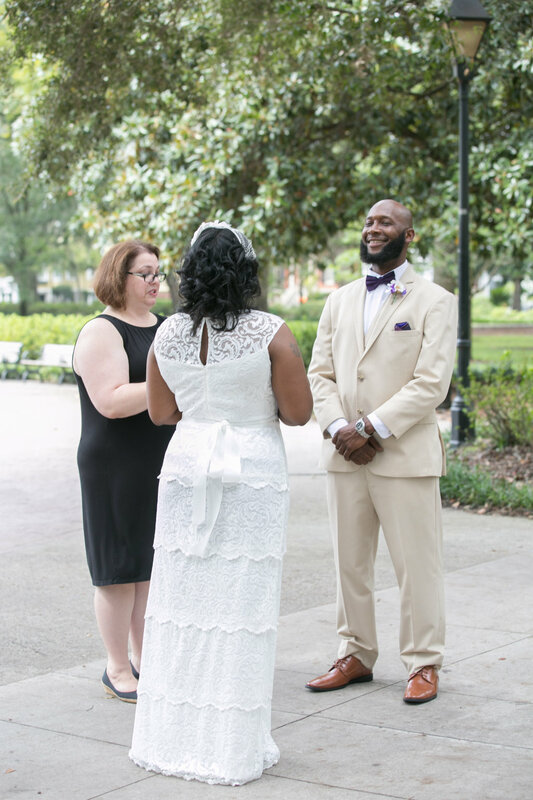 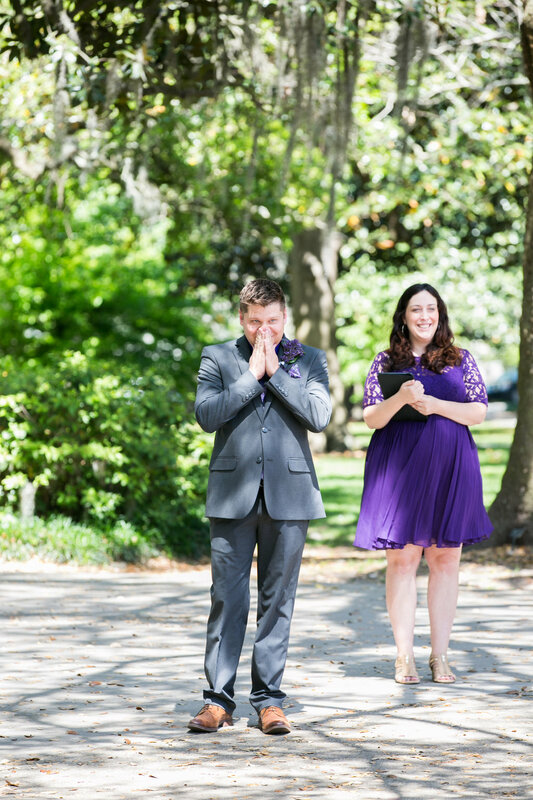 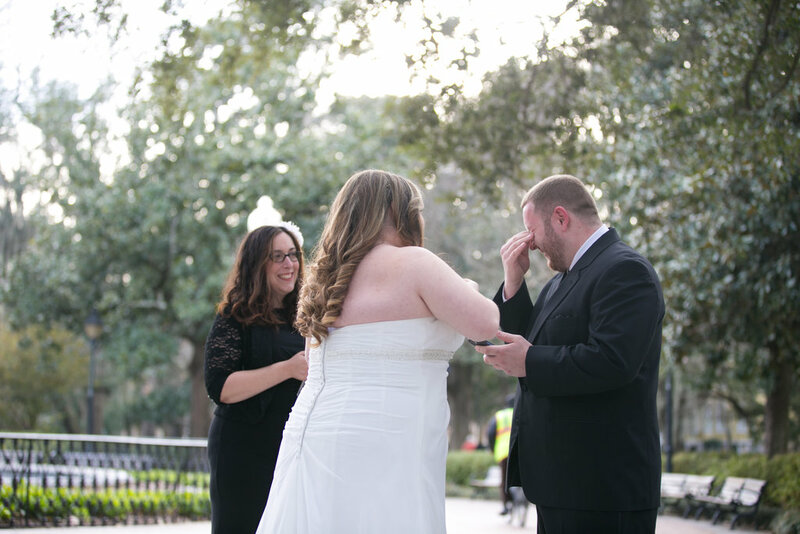 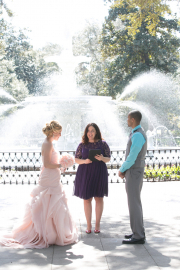 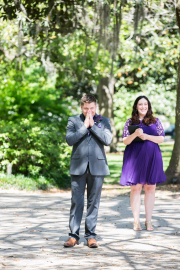 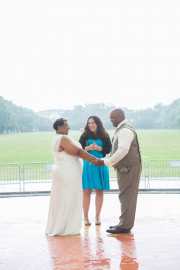 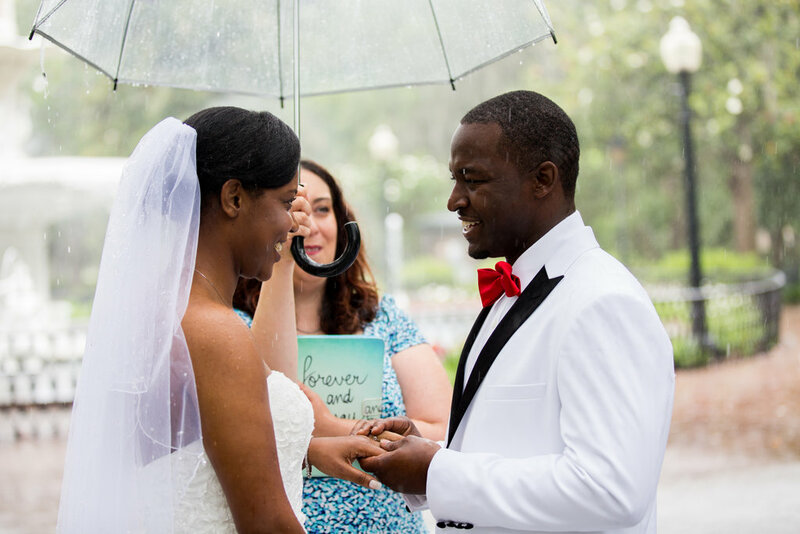 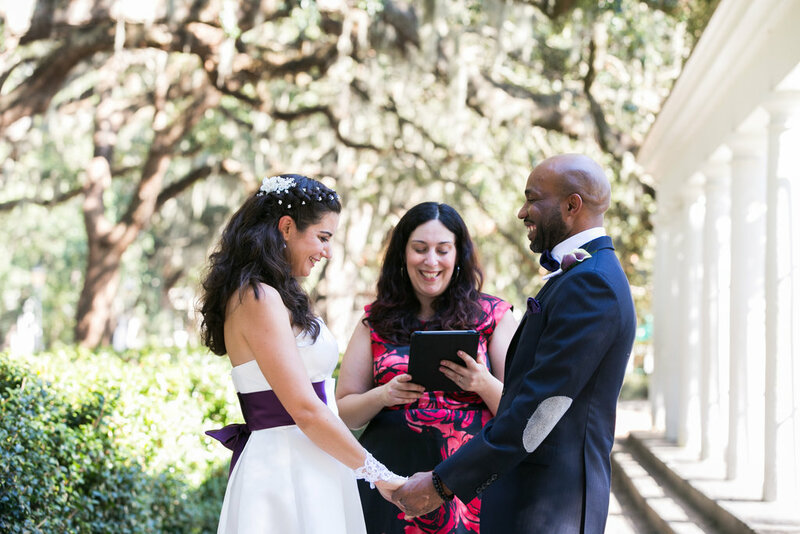 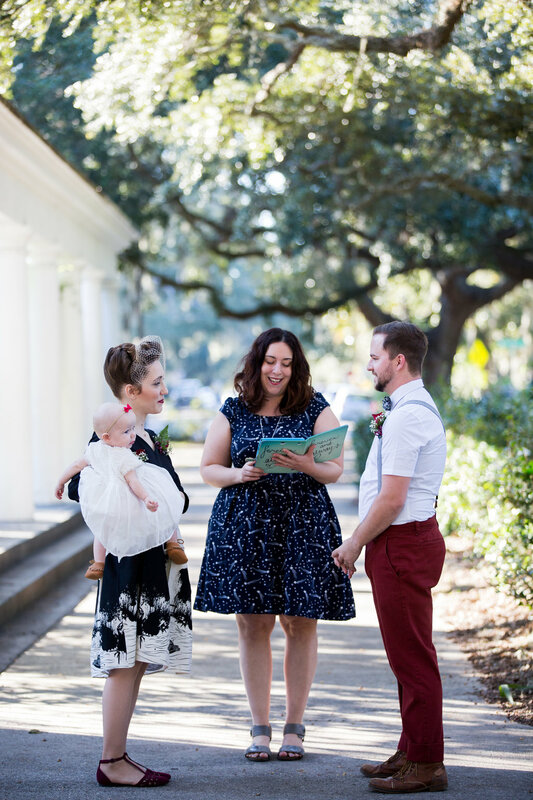 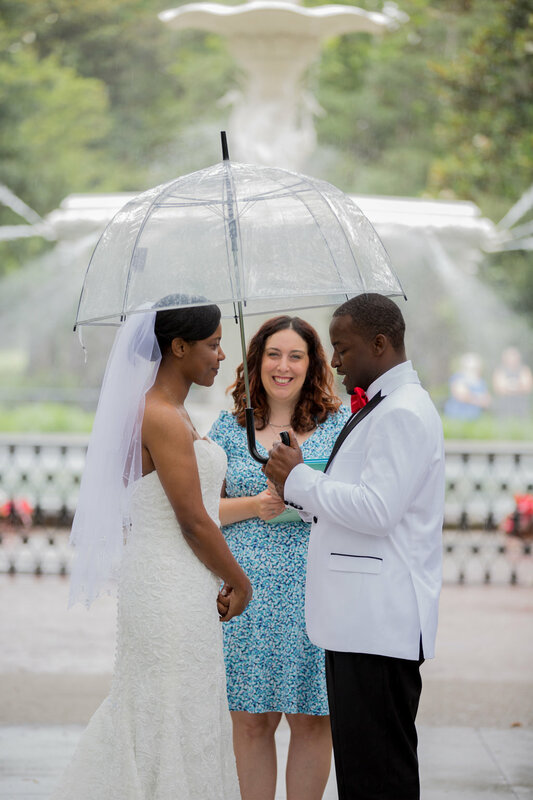 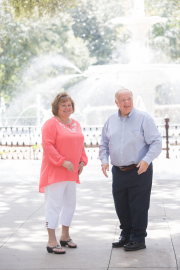 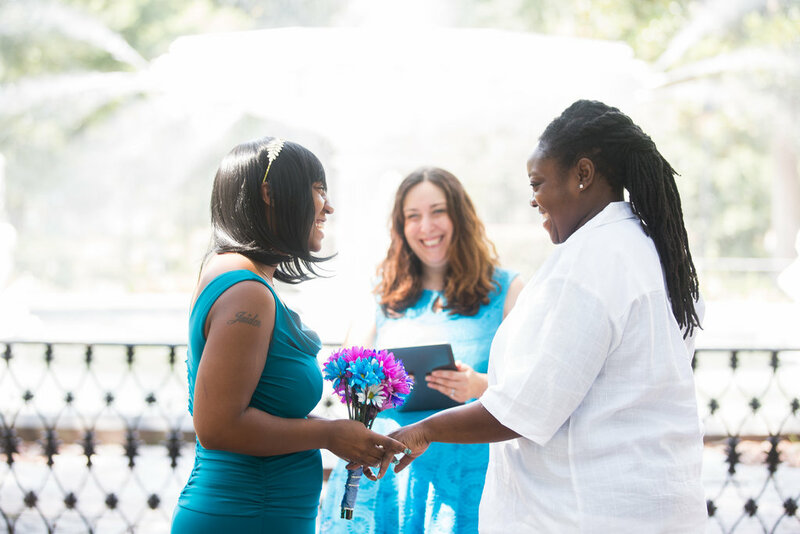 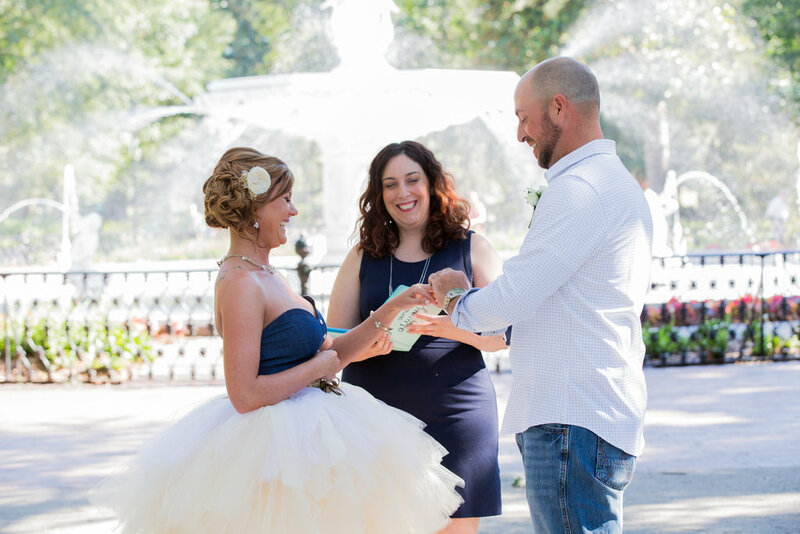 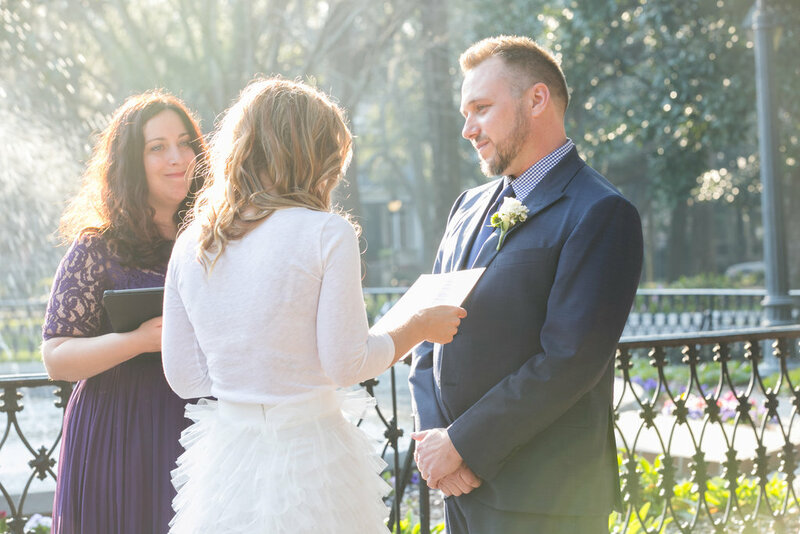 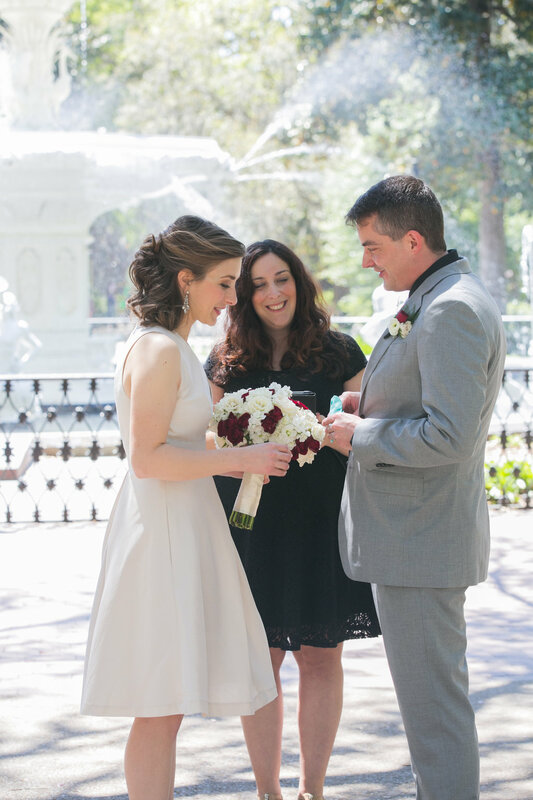 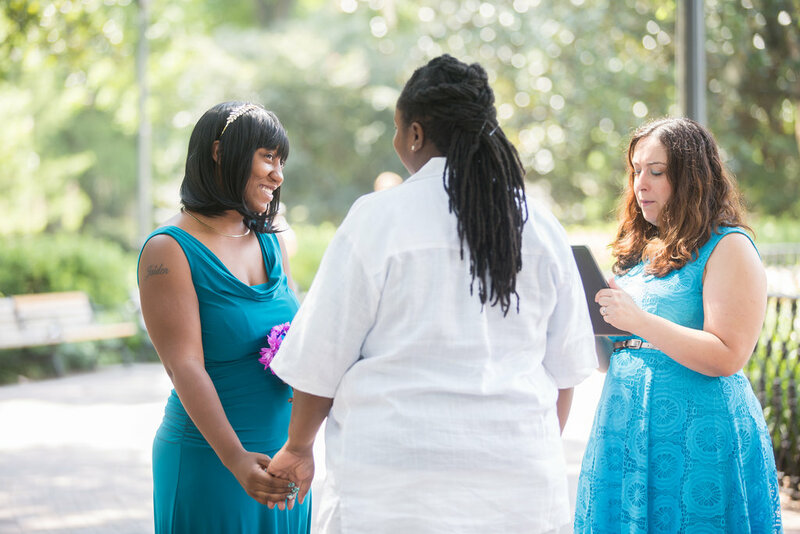 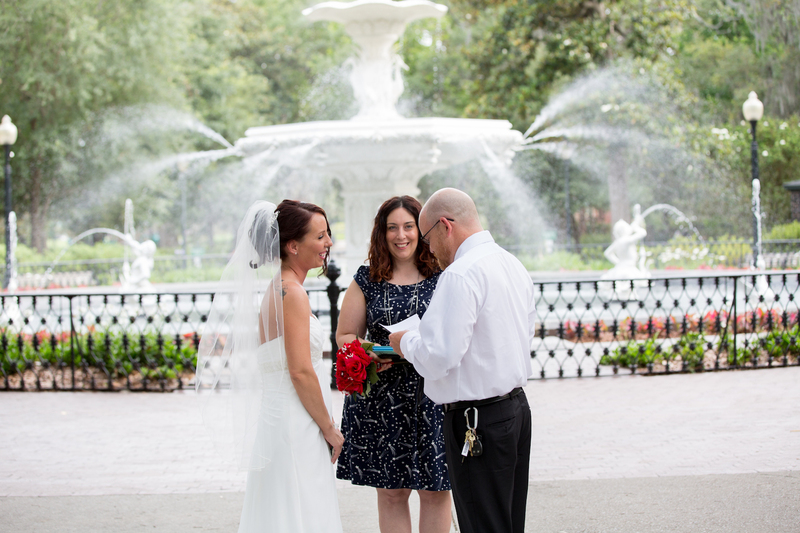 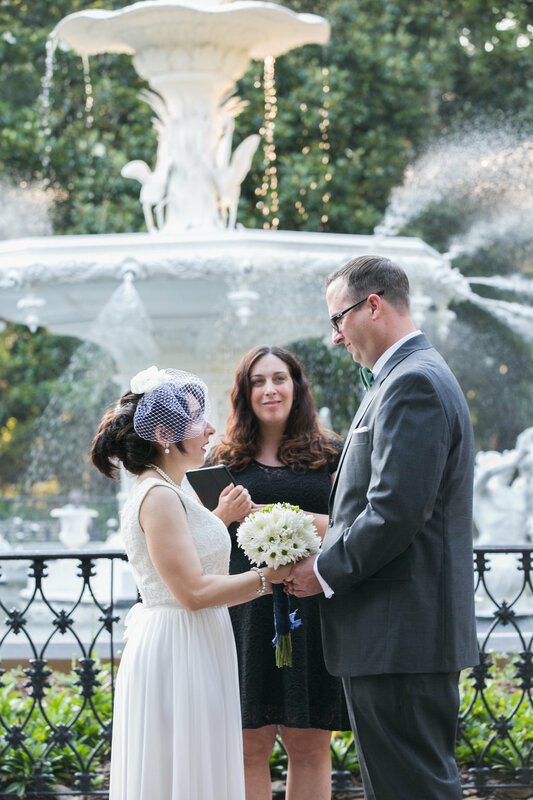 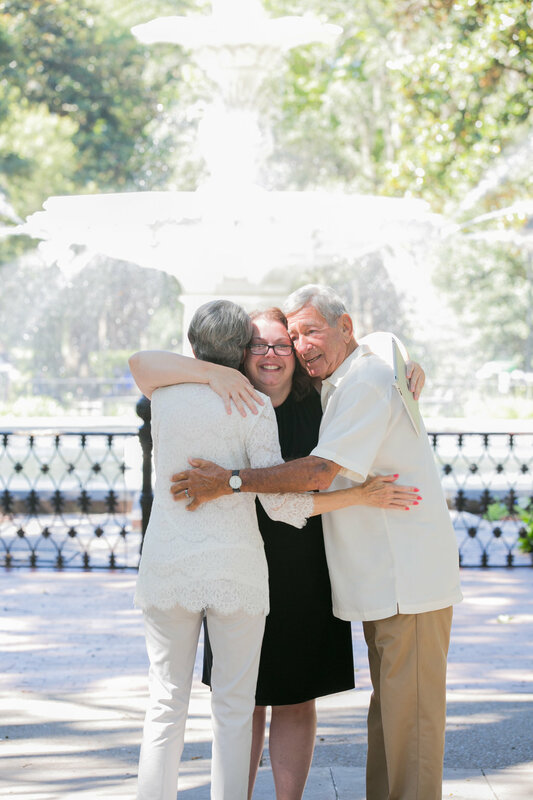 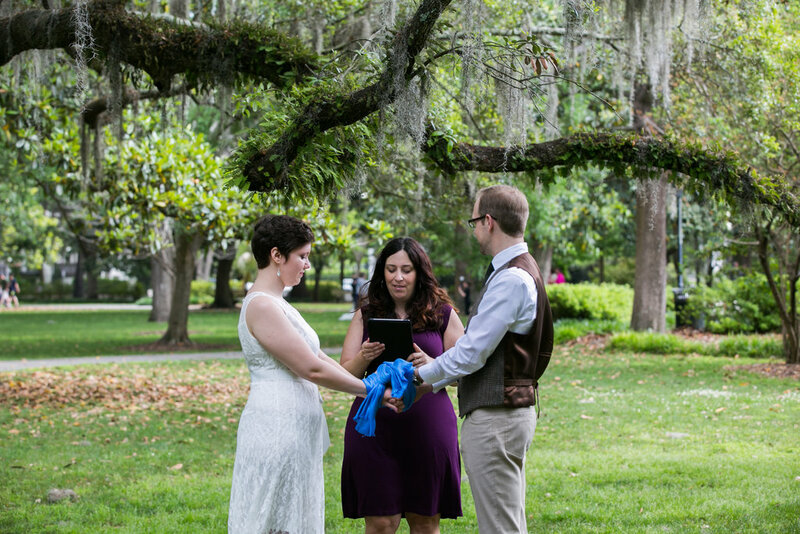 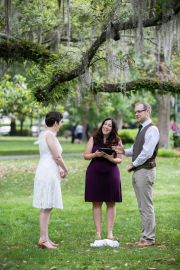 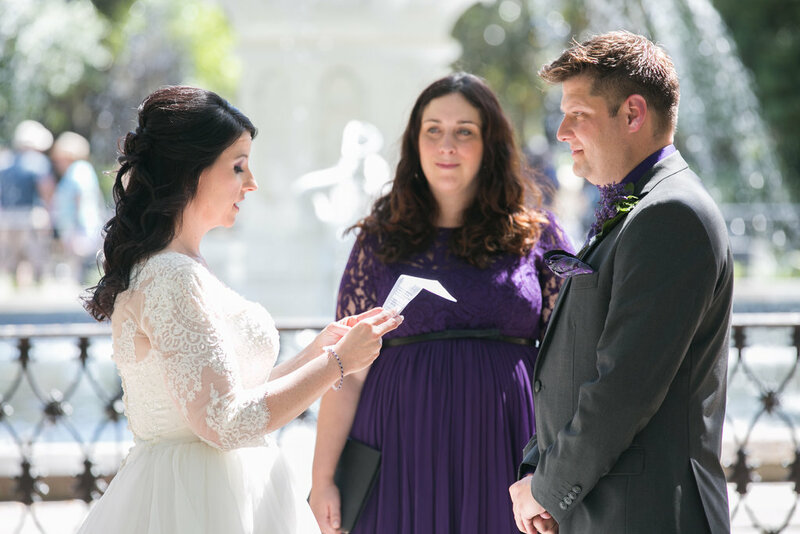 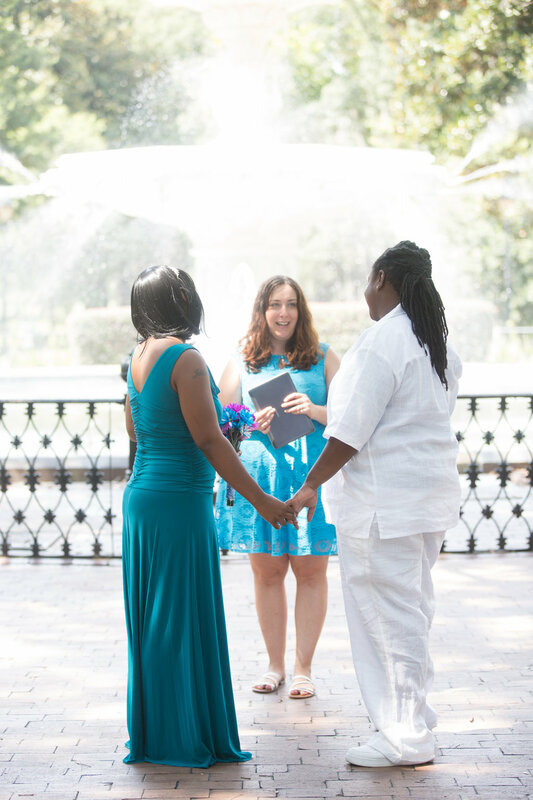 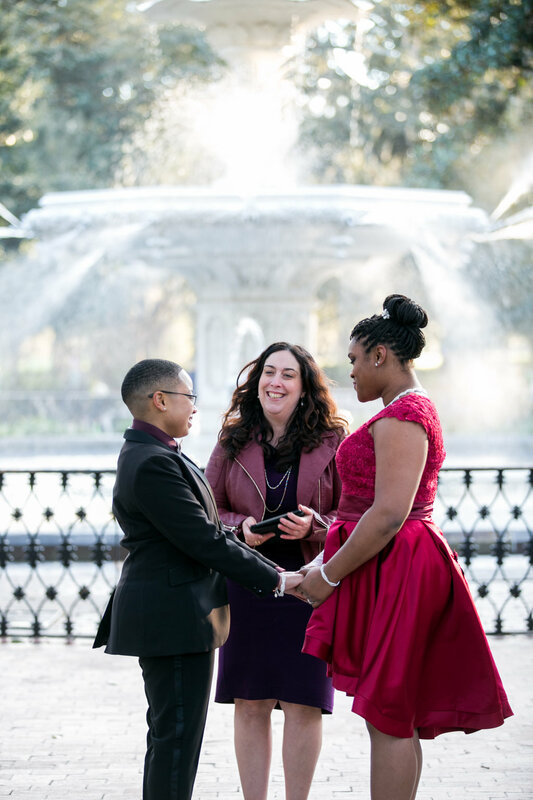 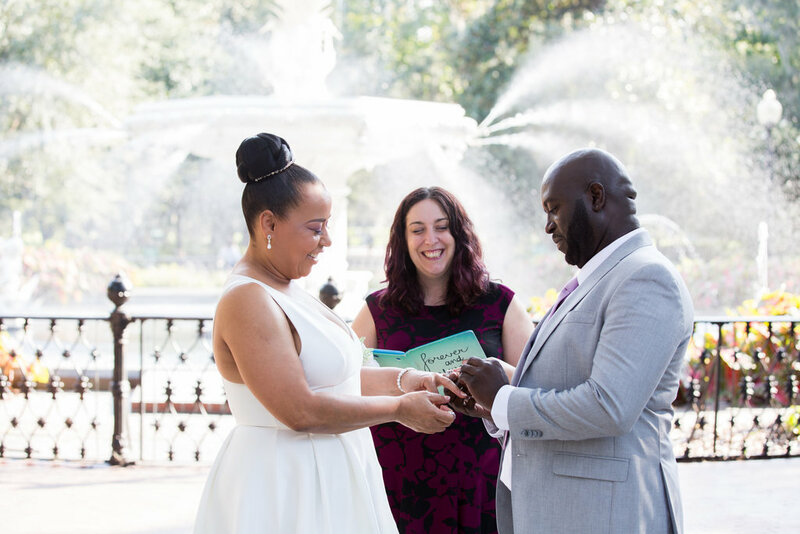 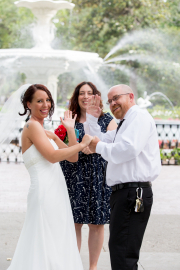 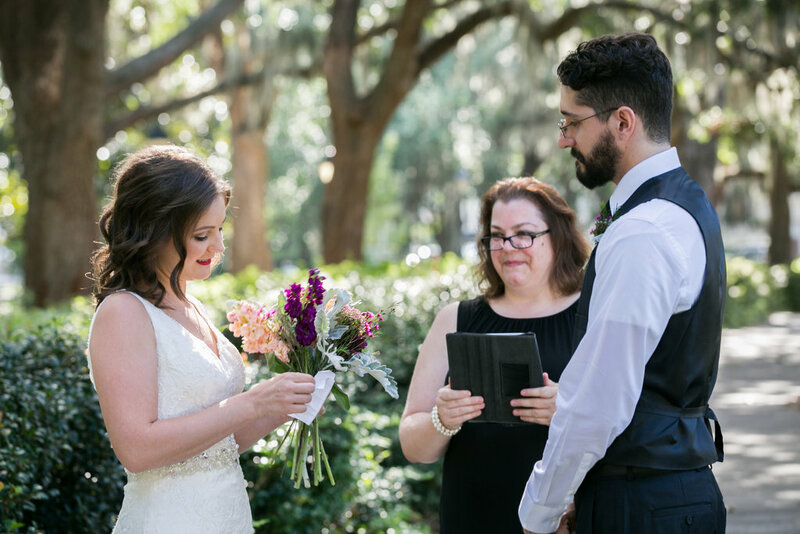 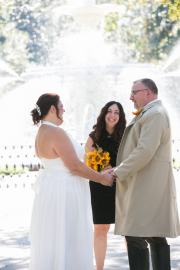 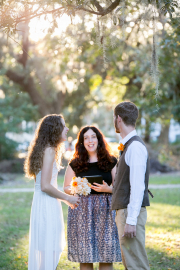 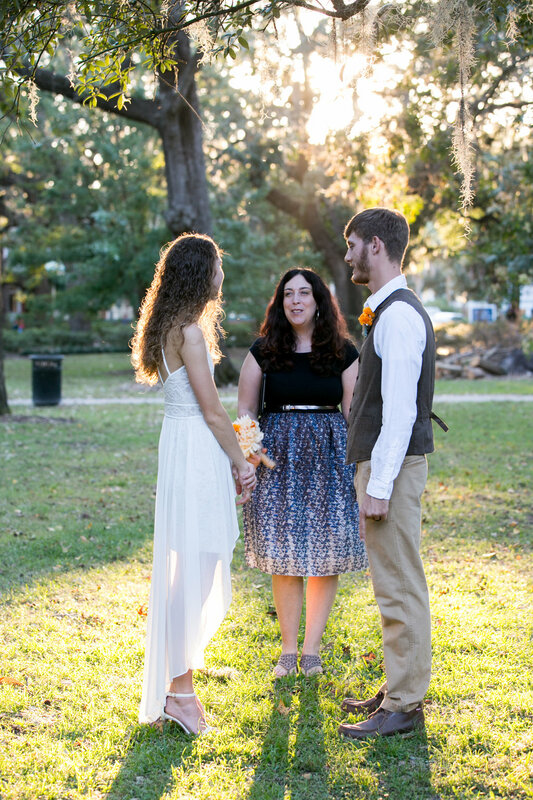 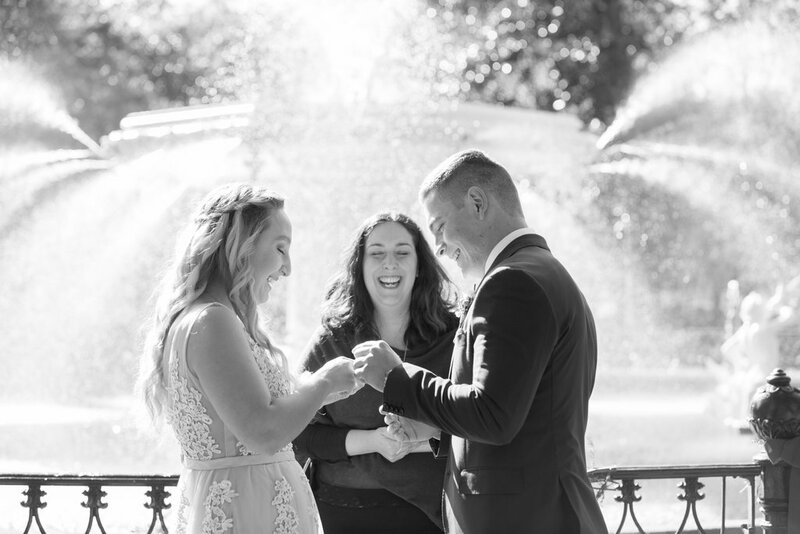 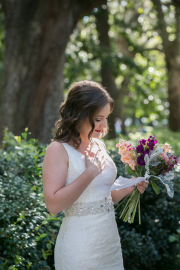 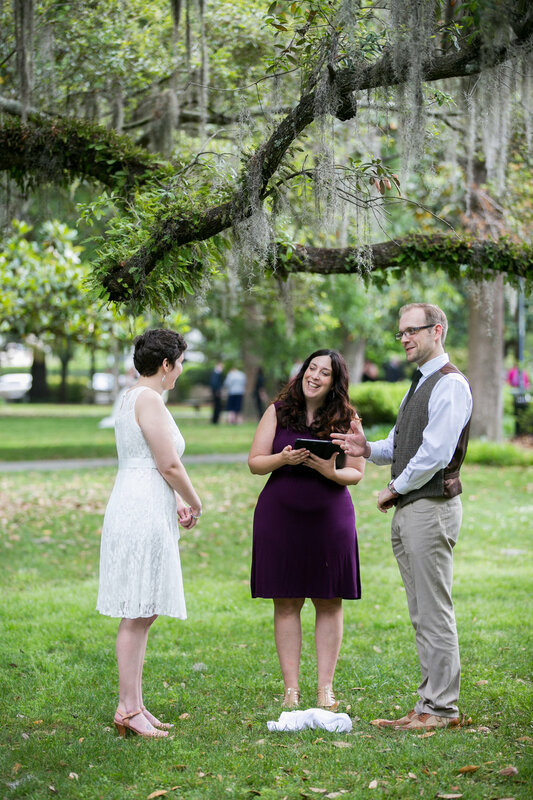 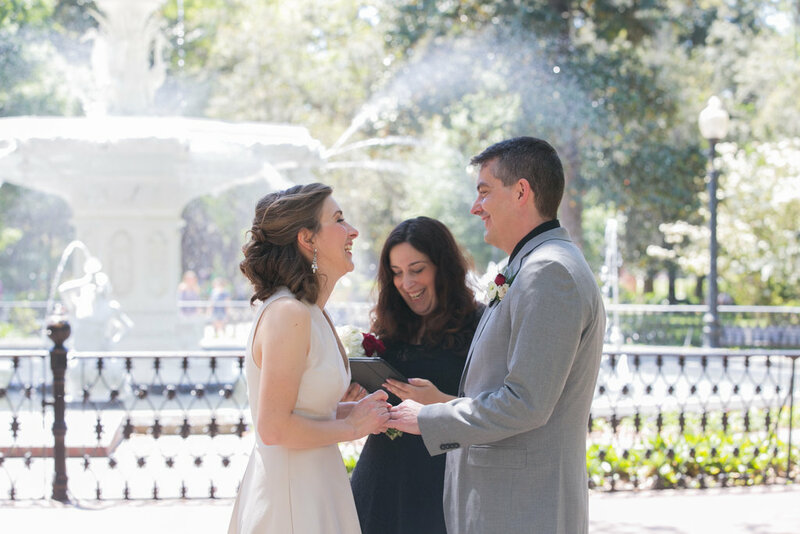 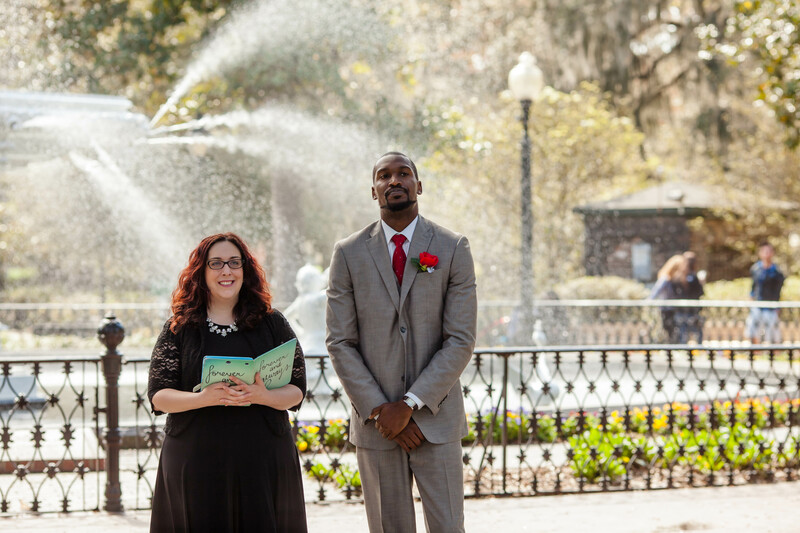 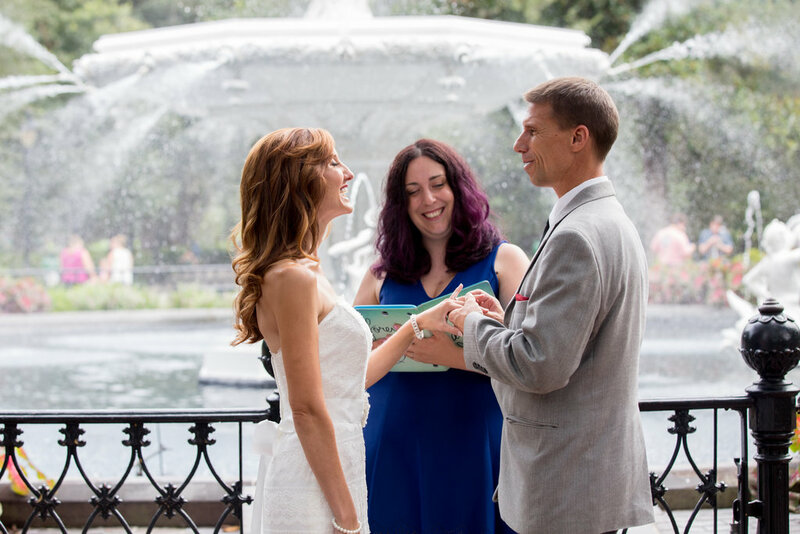 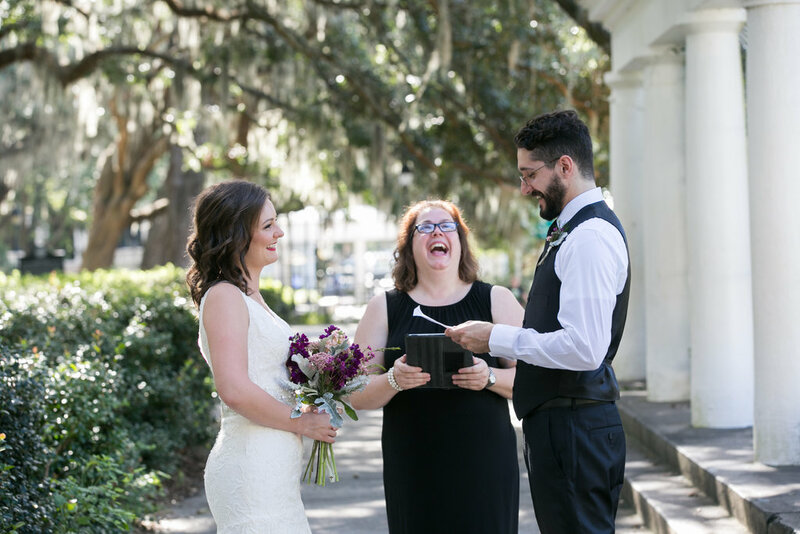 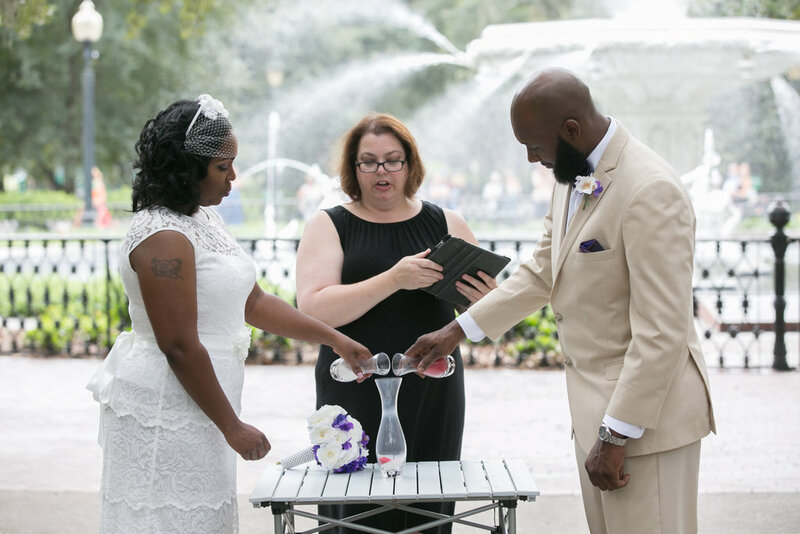 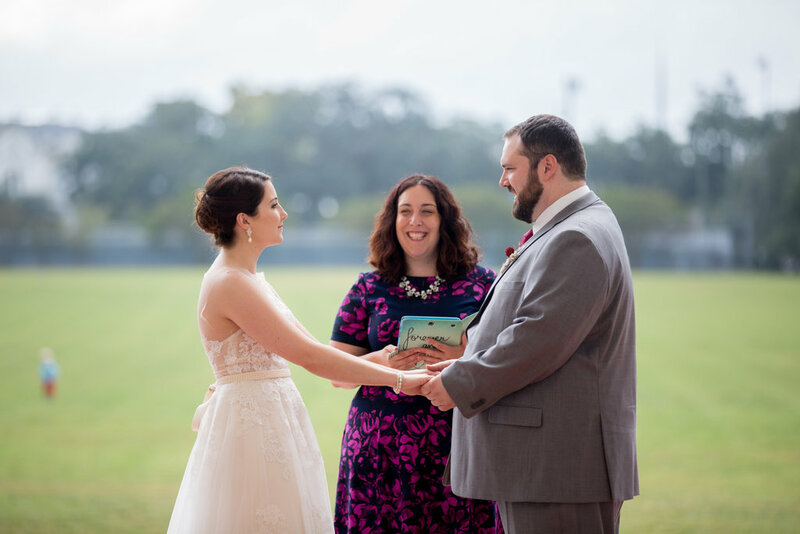 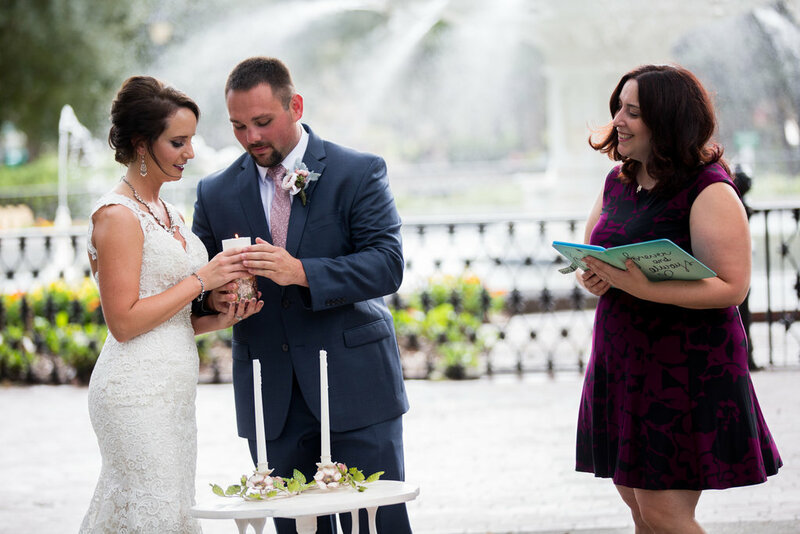 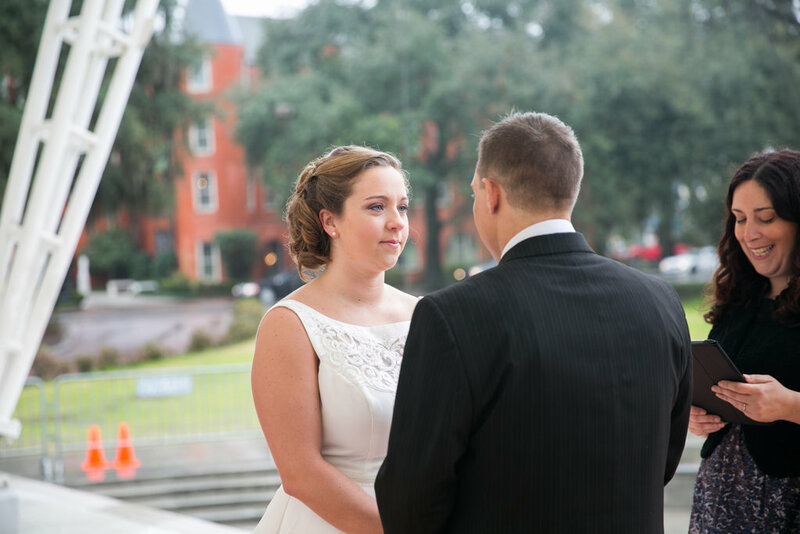 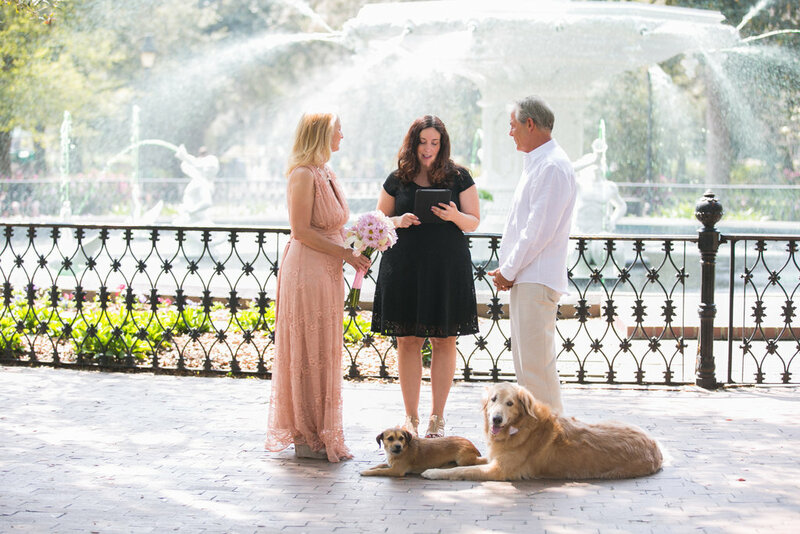 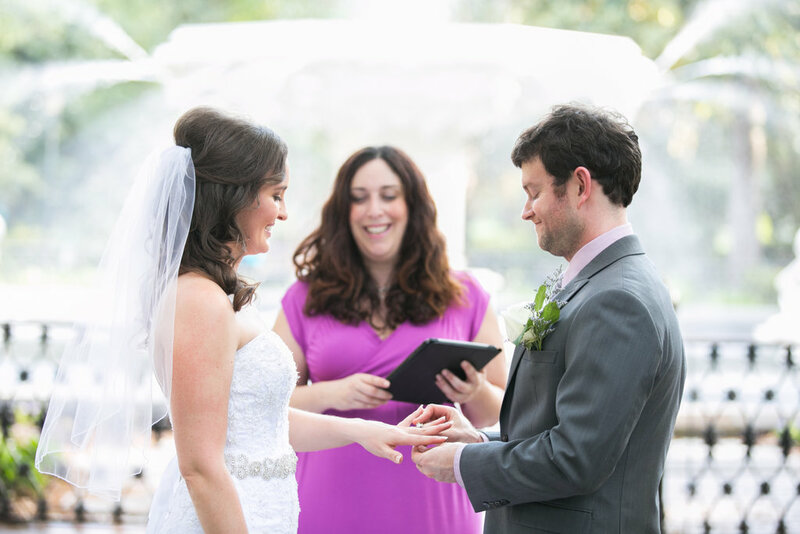 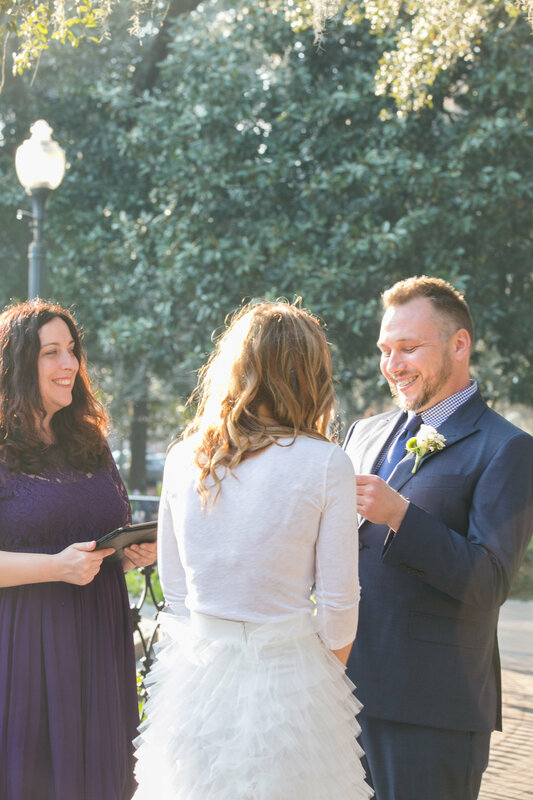 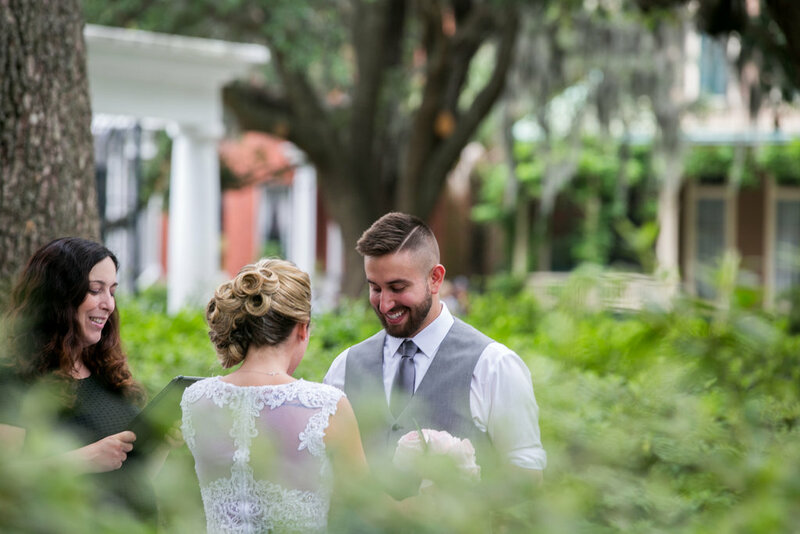 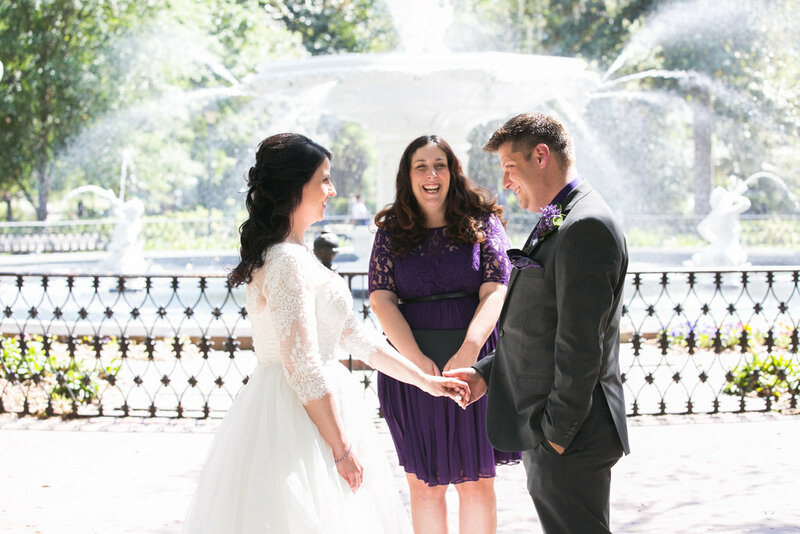 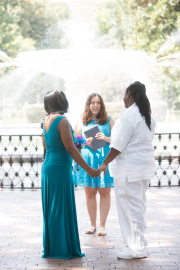 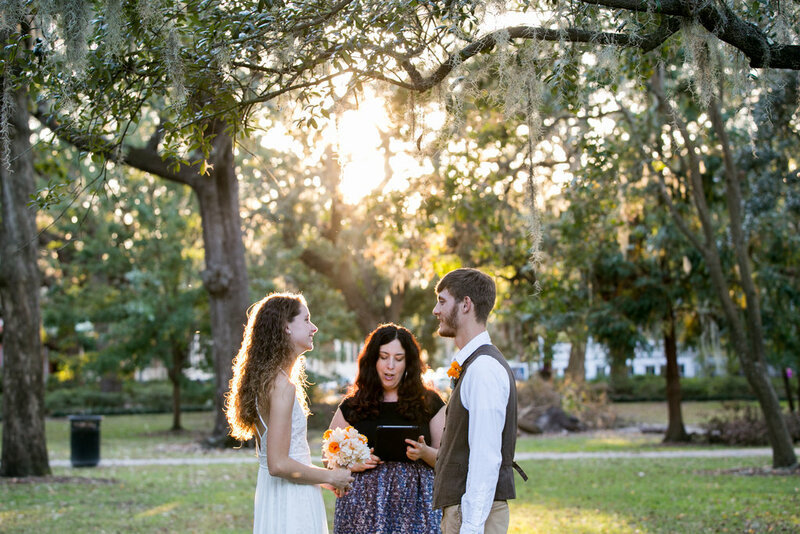 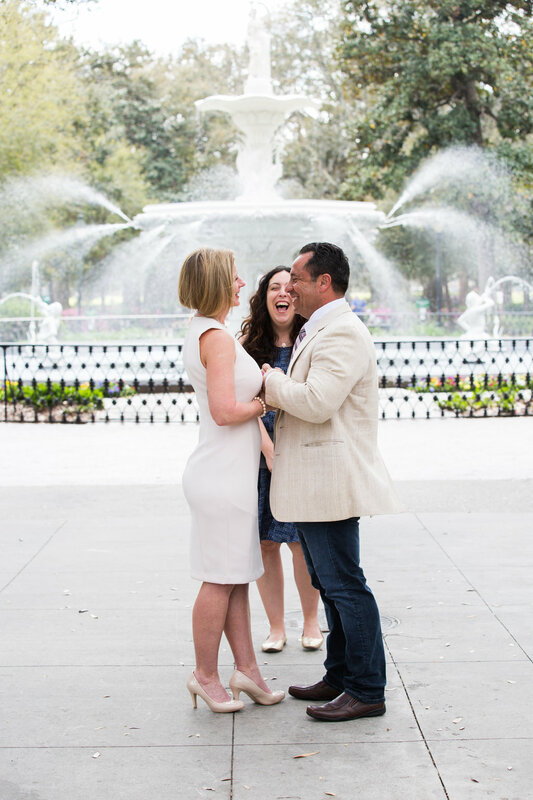 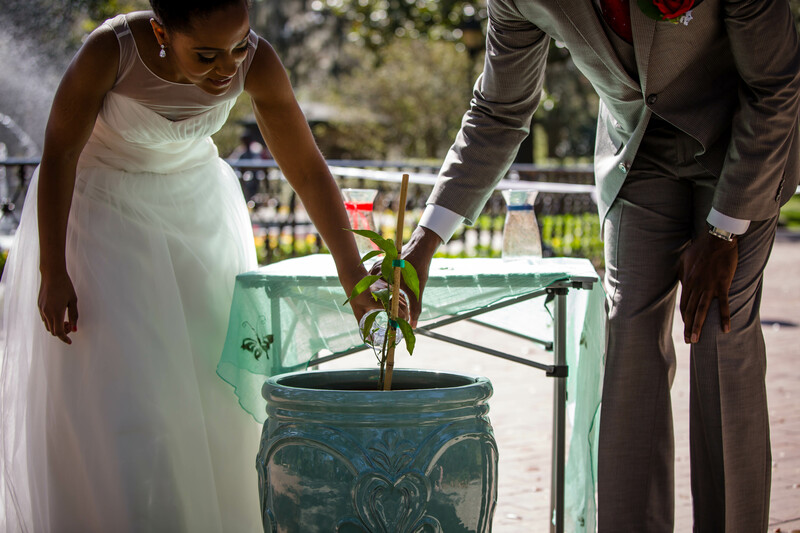 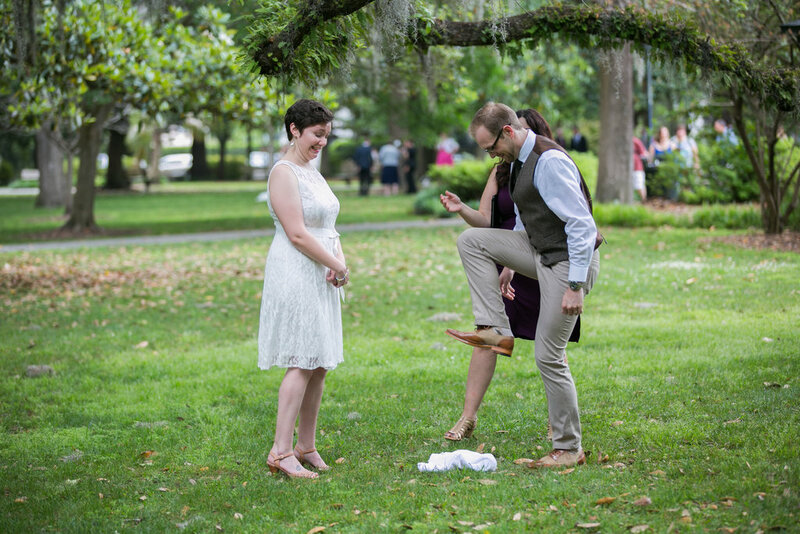 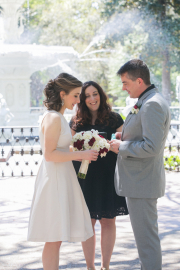 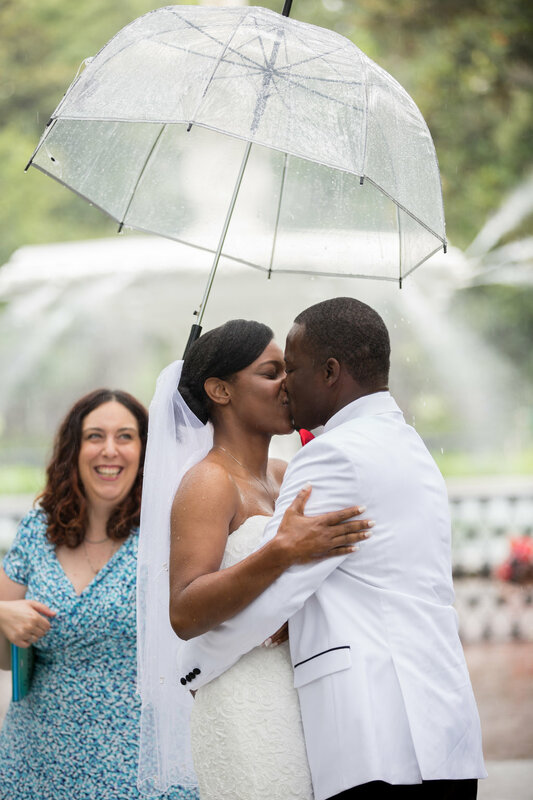 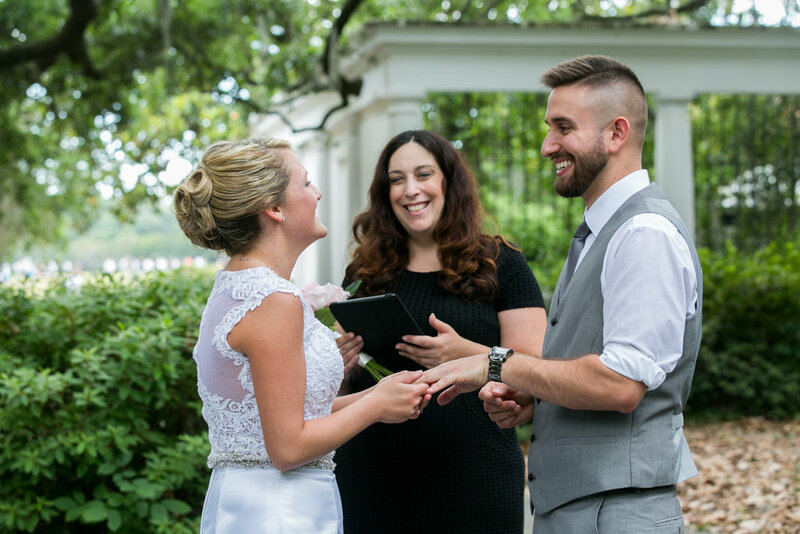 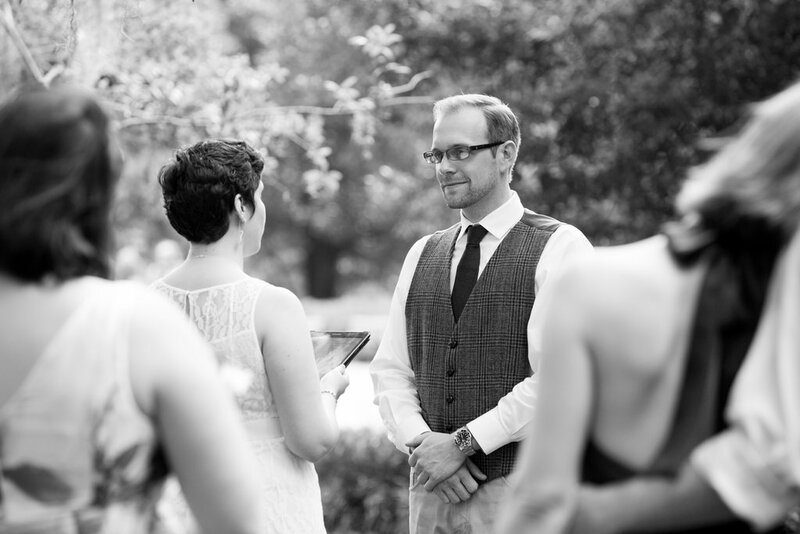 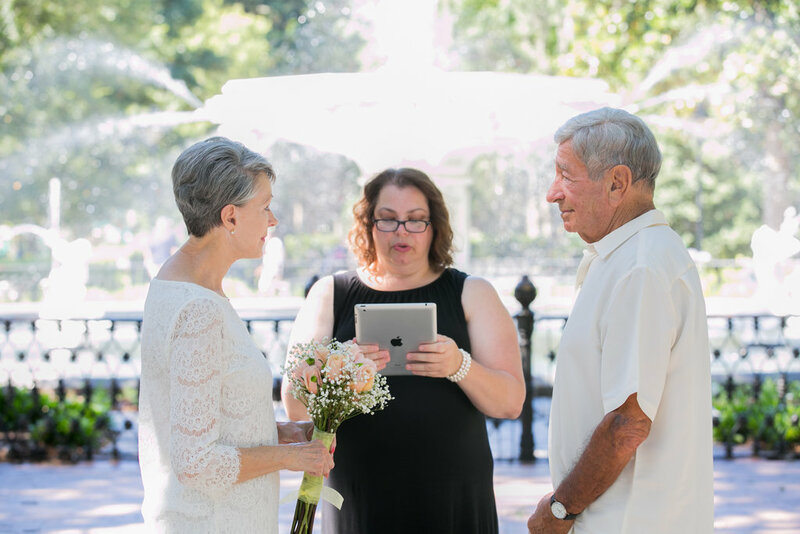 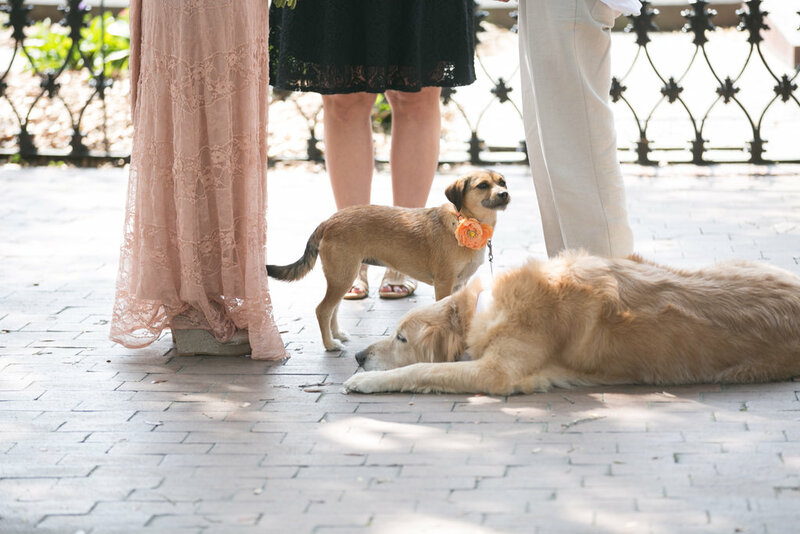 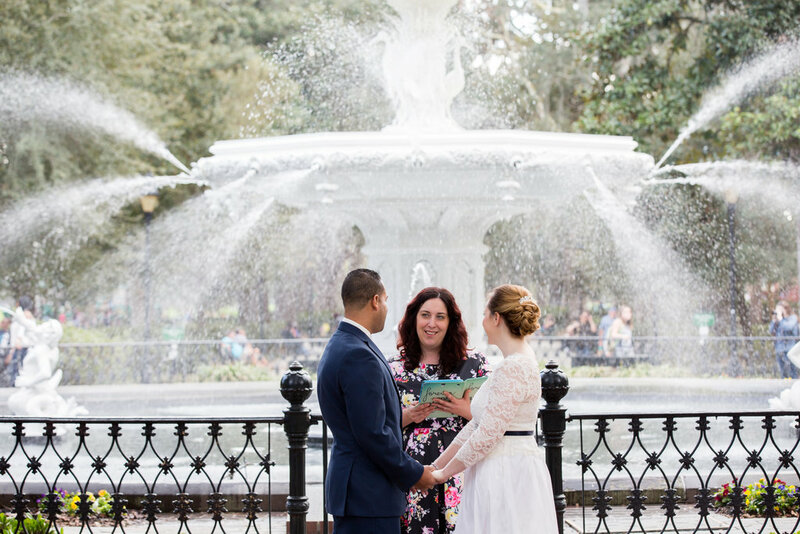 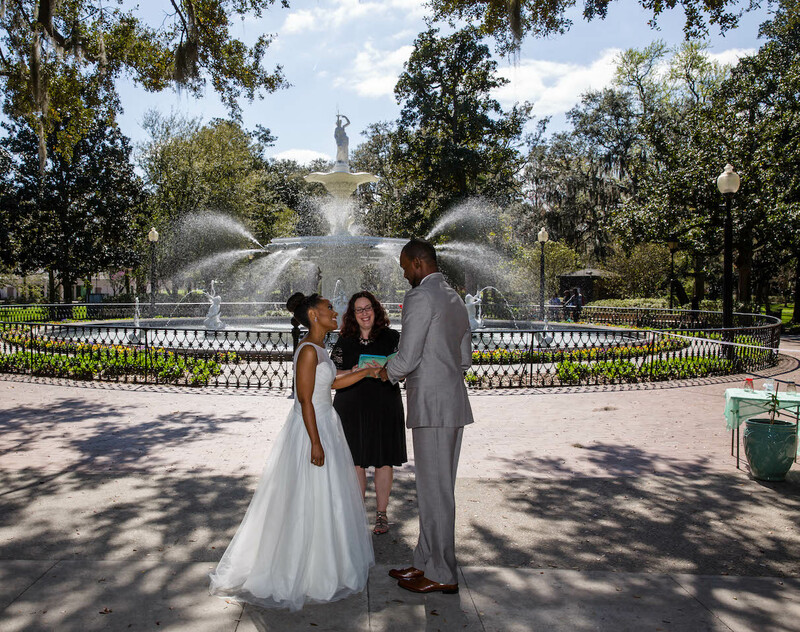 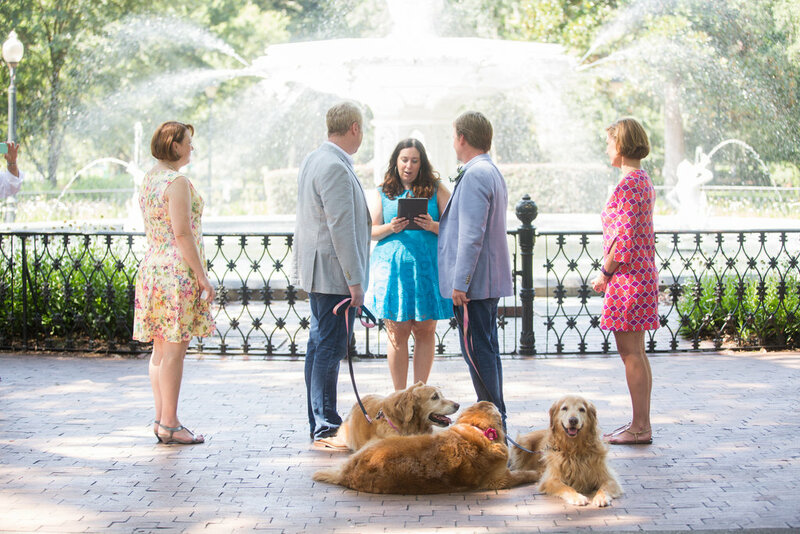 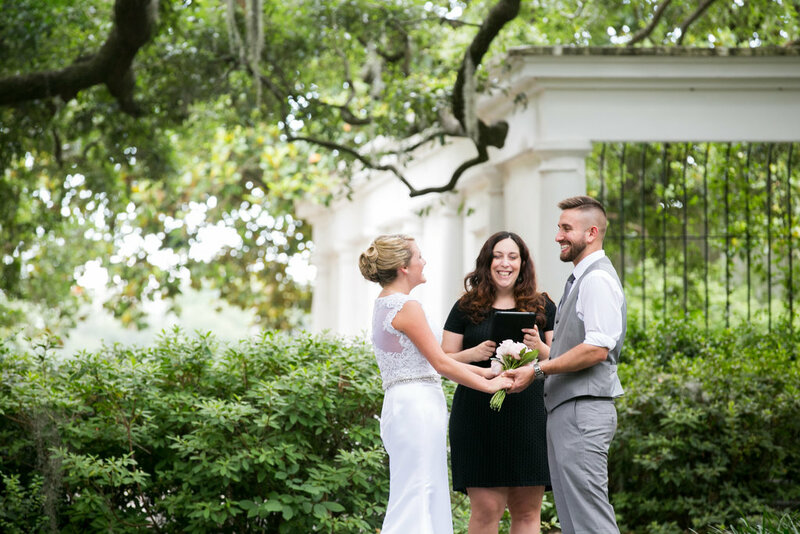 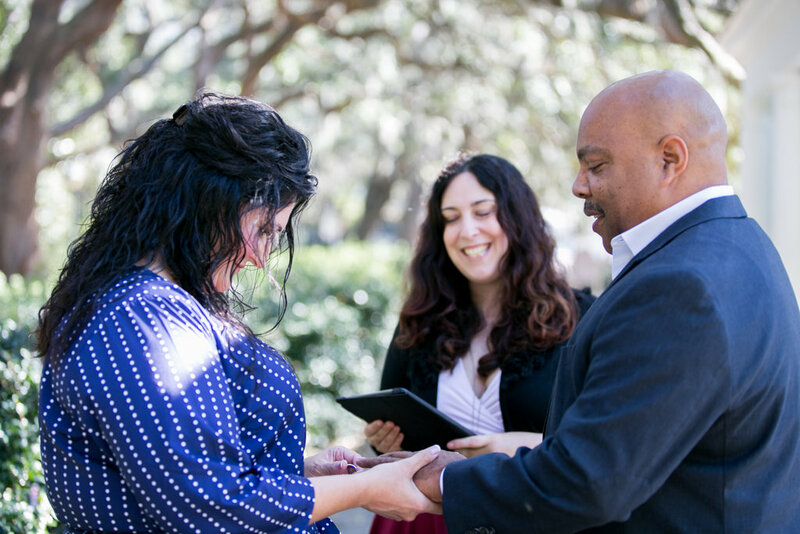 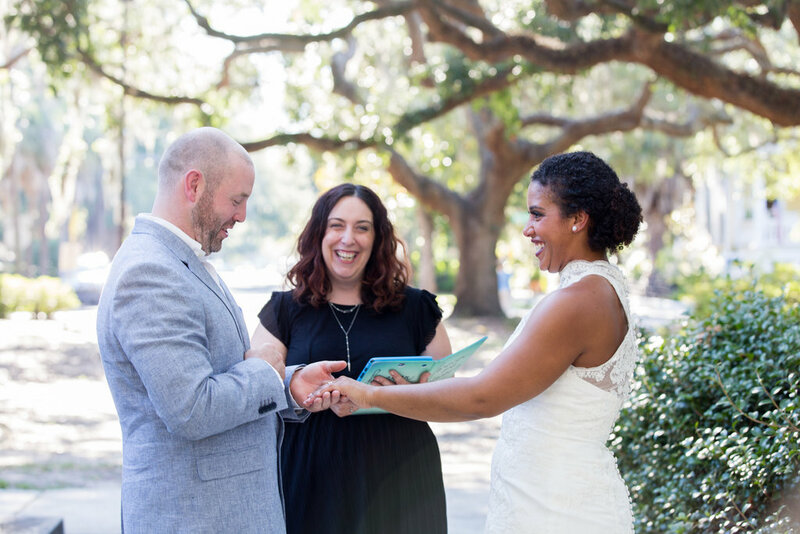 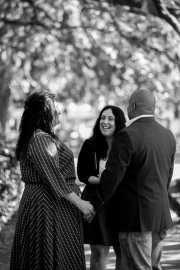 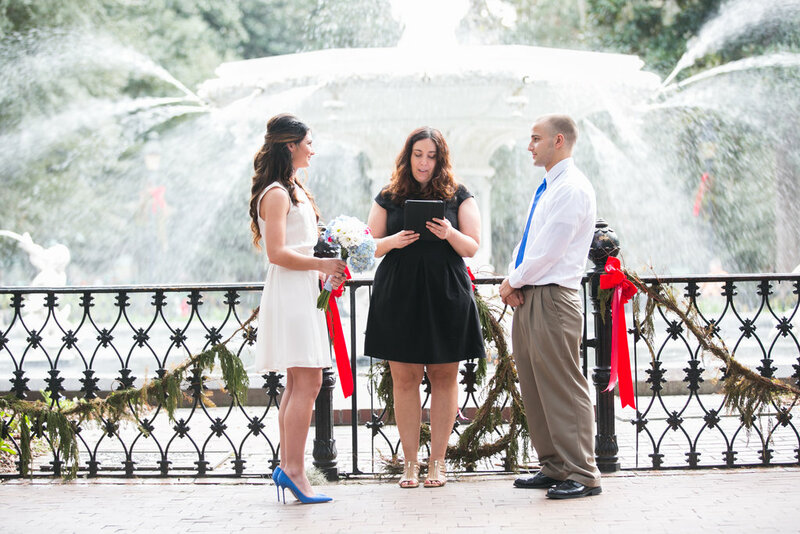 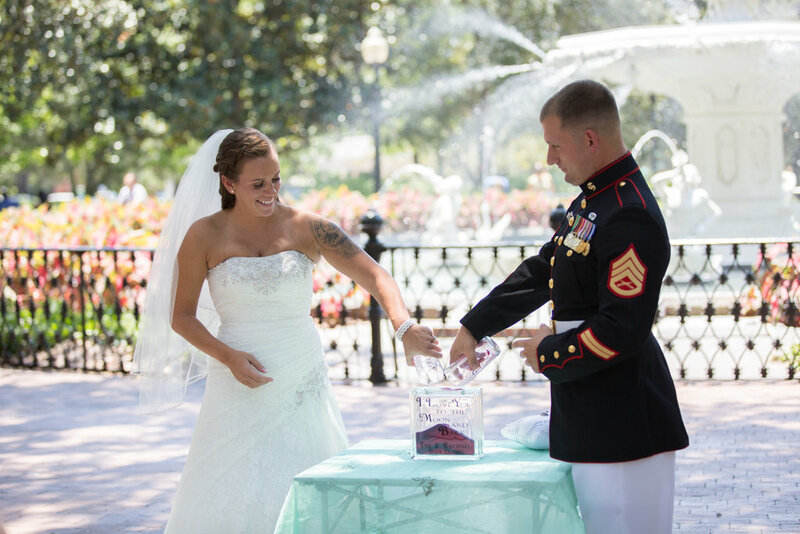 Enjoy our gallery of elopement and wedding ceremony photos at Forsyth Park!